Culver, In. 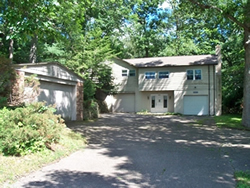 offers this newer, elegant home, overlooking the waters of Lake Maxinkuckee. This home is over 4,700 sq.ft. with state of the art architectural design & decor offering views of Lake Maxinkuckee from most rooms in the house. 5 large bedrooms complete with closets & private spa style baths, plus 2 additional unique powder rooms for guests. The open main floor includes focal point, a classic fireplace in the living room, & gorgeous kitchen with all the upscale appliances anyone could possibly want. Kitchen also offers, eating counter, ceramic back drop over gas range with matching custom back splash. Leaving the kitchen enter into a screened-in porch with a fireplace! Master bedroom & lower level bedroom also offer French door entrance to private balconies facing the lake. Watch the sunsets over Lake Maxinkuckee from your private dining & kitchen area as well. The upper floor has 3 additional bedrooms; 2 bedrooms have extra built in daybed areas. The lower level is for entertaining with an open family room with fireplace that opens to an additional kitchen. Private bath, pool table/game room, & another bedroom with its own balcony. The lower level also provides 2 sets of stairs at each end of the home for entry. Connect to nature on the upper patio, some portions with a layered blue stone, charming landscaping all around and a fire pit. Nice laundry room, with tons of built-ins for storage and a possible pet area. Heated 3-car, deep, attached garage. Culver, In. offers this elegant and exquisite, yet charming cottage feeling as you enter this lake home. This 6 BR & 4.5 BAs is the pride of the neighborhood. The large open porch, w/blue/gray stone slate flooring, extends an open invitation to all its visitors, walk thru the first set of five French doors from the porch to a large and beautiful DR, then on into the upscale kitchen. Most of the main floor includes oak flooring including the newly updated kitchen. Kitchen includes, 2 dishwashers, warming oven, built in oven & gas range with hidden raised vent, granite counter tops, sub-zero refrigerator, & a lovely eating counter. The great room is very large w/wonderful frplc as a focal point, w/3 sets of French doors open to the breathtaking views of the lake from everywhere! The newer decking down over the boathouse and near the lakefront is one of 4 places to entertain outside with guests. Newer walkways, updated brick, & slate patios are among the few outside charms of this home. The home has a main floor suite w/att. BA, & a library room lined with shelving for the bookworm in the family. The upstairs offers 5 additional bedrooms, each w/an att. BA, 2 using a Jack & Jill style bath. The serene master BR offers a walk-in closet and a walkout heated porch facing the lakes shimmering waters. 1 large dorm room occupies several beds for sleepovers & guests. One-of-a-kind. Accessible. Modern Luxury. The Braun Estate is an exquisitely designed Modern Contemporary estate set on 40 private acres with nearly 16,000 feet of living, and multiple opportunities for outdoor exploration and enjoyment. Conveniently located 25 minutes from Culver, IN, home of the Culver Academy, as well as a short 2 hour drive from both Indianapolis and Chicago, this estate is the perfect retreat for the the busy professional or accomplished entrepreneur. Discover the beauty of summer living at Lake Maxinkuckee! It feels like a country lake cottage with lots of daylight and views, a perfect home away from home. The great room has 2 seating areas & is ideal for entertaining with a stone fireplace. The vaulted ceilings enhance the openness of the formal dining & eat-in kitchen. The kitchen has lots of counter space & cabinetry, with a pantry nearby. An island, with storage, divides the eat-in portion of this room. Next to the family room, in the lower level, is a wet bar with stools complete with a gas stove, small fridge, & dishwasher. The open floor plan offers another fieldstone fireplace which is a focal point of this room if you can take your eyes off the lake views. Off the family room is a rec room with a pool table. There is also a laundry room which features a laundry chute. The lower level bedroom has 2 closets & opposite wall of bookshelves. In the spacious yard you will find a huge Gazebo with a brick paver floor & a fieldstone fireplace. From here follow a brick path to the lake. This home has a wrap around catwalk decking on upper floor that leads to most doors.The main house has 4 bedrooms; master suite has a walk-in closet. The other 3 bedrooms also have sizable closets. Guest quarters above the garage: 2 large guest bedrooms have a communal bath with a stand up shower. Both bedrooms have ample space for 2 twin beds. A galley kitchenette completes the guest quarters. Below is a spacious garage. Across the road is 4.24 acres of wooded bliss! Home has 2 furnaces gas FA, sprinkler system, 200 amp service, additional outdoor storage. Off street parking in 2 areas, one near the garage entry & in front of the home on asphalt. On main floor a great room with high ceilings & wonderful crown molding. Great room includes open kitchen, living room, dining room, with a grand sunroom overlooking the beautiful lake. The open sunroom extends an open invitation, and draws you be seated. Wonderful built-in cabinetry along the dining room wall with wet bar, granite counter tops & wine cooler. The upscale kitchen has granite counters galore, walk-in pantry, 2 built-in ovens, gas stove, and upscale refrigerator. This 4 bedroom and 4.5 bath home has custom and elegance written all over it. Loads of storage, 3 walk-in closets, all baths are upscale, with tiled showers, glass door walk-in spa design. 2 of the bedrooms upstairs have an additional sunroom leading thru French doors to this private area overlooking the lake. The open winding staircase lead you upstairs to the 3 additional bedrooms. Lower level has a hidden away wine cellar, temperature controlled, with tile flooring. Lake frontage has sandy bottom, upper decking near the house, and lower portion as well has lakeside seating. Built in 1992, this lovely lakefront home offers an open concept living area throughout. Living room features vaulted ceilings, gas fireplace, flowing to a very large porch with full glass windows everywhere to take in the Lake Maxinkuckee views. This 4 BR and 4.5 BA home has it all! The spacious kitchen with loads of cabinetry, hard surface counter tops, and an over sized pantry, open to the formal dining room and onto the spacious LR. A great home for summer fun, entertaining, or make it your year-round home. Very large master bedroom and large bath is on the main floor, offers his and hers large closets, lovely bath with ceramic flooring and walk-in shower. There are 3 additional large BRs on the upper level, each having there own walk-in closets, BAs, and an abundance of space. You will be impressed on how this home is a master at maximizing storage space throughout and has been very loved and cared for. Very large tiered deck just off the waters edge, wonderful for entertaining, 2 car plus garage with tons of extra storage space, completely drywall finished attached to the home. Main floor laundry room, all appliances stay, and some personal property maybe offered for sale separately. Property also offers 2 central air units, and furnaces, as well as a sprinkler system for the lawn. Pier included. Culver, In. Lake Maxinkuckee sandy shoreline offers a wonderful property with even to the lake beautiful yard with loads of perennials. In the remodeling stages at this time, you can reinvent this one to your own desire of flooring and color scheme. Loads of storage space throughout this home. Large spacious open concept main level includes, large kitchen area, open sitting room off the kit. Also open to the kit, is a formal dining and great room with a fireplace. The views are incredible from most all the main floor. A main floor Den/bedroom with a private nearby full bath, and a main fl. laundry room just off the kitchen area. Upstairs are three very large bedrooms, with two additional full baths. Master has a private bath and walk-in closets. There is a two car attached garage, that enters into the home, also, a wonderful large patio out front facing the lakes shoreline. Loads of windows and slider doors for extended magnificent views everywhere. Culver, In. offers a sandy shoreline with this lovely three bedroom home with additional upscale bonus room with attached bath over the garage. A panoramic view of beautiful Lake Maxinkuckee from most every room in this home. Kitchen has loads of counter space & cabinetry galore. Plantation shutters were recently added as window features for privacy and plenty of light when desired. The great room offers floor to ceiling windows, wood flooring, open dining, living room & kitchen. The great room also has a fireplace as a focal point & opens to a newly built deck of composite material for long wear & easy to maintain. This home also features 5 baths, 3 full (one lg. spa like bath off the master) another full guest bath, another in lower level (off family room), 1/2 bath on first floor, another 3/4 bath off the bonus room above the garage. The spa-like bath off the master bedroom has walk-in shower with glass doors, & a jetted tub, cabinets with twin sinks & his & hers closets. Lower level has a family/game room, fieldstone fireplace, with screened-in porch facing the lake. Main floor: sizable laundry room, rear sun room all heated, attached 4 space 2 car deep garage, all finished & heated. A reverse osmosis water filter system & water softener included. This home has storage galore, & plenty of lake side yard, pier. 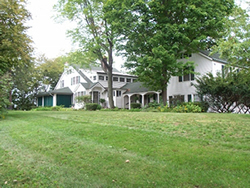 +/-103 Lake front: Gem on Lake Maxinkuckee in Culver In. Lake Maxinkuckee offers this lovely well maintained family year around cottage, that has served its owners for many years. Its location is across from the first tee at the Maxinkuckee Country Club. The spacious wrap around screened porch adorned with cottage wicker is a must see, the views will take your breath away. This lake front home offers a total of 7 bedrooms and 4.5 baths as well as a private quarters, complete with separate sizable bedroom and family room area, very nice and private. The open guest area has extended open ceiling beams for a real cottage feel. Enter this home with a feeling of lake enjoyment through the kitchen & family room with vaulted ceilings. Kitchen provides a center island & a sunny breakfast area, plenty of cabinets & a pantry for storage. From the kitchen follow around to an entry porch that welcome your guests, complete with loads of light & built in seating. Formal dining room, all open with French doors leading to a living room also open with additional dining area seating. The living room has a fireplace & is complete with open staircase leading to more than 4 additional upstairs bedrooms. Additional French doors from living room, lead to screened in porch wonderful for watching the evening sunsets over the lake. A landing at the top of the stairs open to 4 additional bedrooms all with wood flooring & a large sleeping porch with 3 twin beds. This home is truly set up to have family around & enjoy the lake. This is a year around home with an oversized 3 car attached garage, plenty of lower level storage & game room area. Large flagstone patio area for lounging around outdoors. The stone winding stairs are an easy stroll to the water’s edge. On the beautiful sandy west shore of Lake Maxinkuckee, a slight hilltop takes in a panoramic view of awesome sunrises from its lovely great room. 2 sets of patio doors lead to a large deck from the dining & living room areas. Low traffic street, with city water & sewer. Great room has a fireplace for those chilly summer nights. 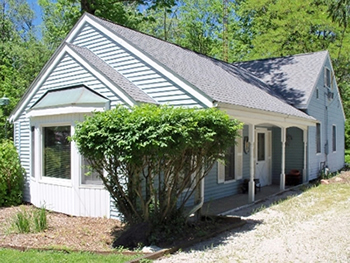 Comfort with a flare of cottage style comes to mind when entering this charming lake home. Connect to nature & the vast views of Lake Maxinkuckee from nearly every room. This 3 bedroom and three & a ½ bath home has a custom kitchen with Corian Counters & plenty of island seating with ceramic floors. The dining area is open to the kitchen & great room for real casual lake living comfort. The upper level has 3 bedrooms, the master suite has an attached spa-like bath, with walk in surround shower, glass doors, twin sink cabinetry & a jetted tub, attractive ceramic flooring also. The garage is a 4 car, 2 car deep, with a room studded in for a possible extra wing. Owners have a real flare for decorating & have taken wonderful care of their home. The ¾ finished lower level of this home has an additional fireplace, family/game room & a slated floor screened porch facing the lake. Landscaping is delightful around the yard & road. The lake house & guest house have over 1.3 acres & would make a great place for the overflow guest. Guest home could also be of value for potential rental income. Culver, In. offers a wonderful lake home with a view of almost the entire lake! Mixing classic with comfort an open family/living room & spacious rooms throughout. This four bedroom, 2 full bath and one half bath home, has a flexible and inviting floor plan. The main floor has a large family room and huge eat-in kitchen with loads of storage, & an attached, sizeable laundry room. Newer paint & carpet throughout! Main floor also offers 2 guest rooms, a sun porch all enclosed, facing the beautiful lake. The second floor offers a very large master bedroom with a private attached bath, and gorgeous views and also a third guest bedroom & 1/2 bath. The grounds & lake frontage are just what most buyers are looking for! 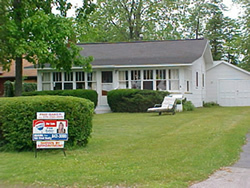 A rare find is to have an additional guest quarters with living area, downstairs bedroom, and a nicely refinished bath. Upstairs has a dorm room to sleep additional guest(s). All this has been newly carpeted & re-painted for the new owners comfort. Summer Guest House is a value to most lake owners! Spectacular views, sandy shoreline, you can walk everywhere in town! Slip away with a year round cottage flare get-a-way. 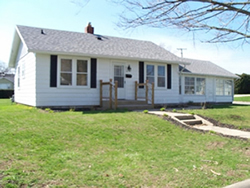 Home offers 3 bedrooms 1 full larger bath, & 2 additional 1/2 baths. The main floor has an open living room & dining room concept, wonderful sunrise views from your cozy enclosed porch & main floor living & dining areas, a raised picnic area right outside your door. The lower level has an additional small kitchen area, snack bar, open to a large family room. The family room offers a brick fireplace, & extra sleep areas. Full lower level, 1/2 offering a lot of additional storage, as in garage (with overhead door) for storing your boat & lake toys. Generations of love have preserved this home. 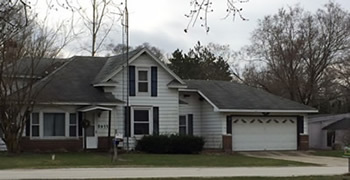 An oversized 2-car plus garage was built about 1989. Shady yard in rear & plenty of sun on the lakefront......An abundance of parking. Fall in love with Lake Maxinkuckee every morning you wake up in your own lake cottage! Feel right at home the moment you step into this 5 bedroom/3.5 bath house with gorgeous lake views from the enclosed and screened-in porches. Fieldstone fireplace in the living room compliments the exposed beam ceiling. Main floor master bedroom suite with attached full bath has a view of the lake. Half bath on the main level. Kitchen has breakfast bar and sitting area. Second master bedroom en suite on the upper level with lake view. The other 3 bedrooms are ample in size. Detached 2 car garage. Stone boathouse on the waterfront has electric and a patio above for shady summer relaxing. Serene garden pond with waterfall adds to the relaxing atmosphere. Pier has large sun deck. With the boat house, patio above and a large pier, lakeside entertaining is a breeze. Handicap accessible with lift in place for entry, and main level bedroom is accomodating for wheelchair. This pristine waterfront house feels like home! A relaxing lakeside patio adds outdoor living and room for entertaining with panoramic views. The open great room includes a fireplace, granite wet bar, room for formal dining and sitting areas with a rustic beam ceiling and distressed wide plank hickory wood floors. A real plus is a sunroom and a dinette set with lake views while dining. Upscale kitchen with stainless steel appliances, granite counters, sizable pantry and a big breakfast bar. Custom cherry double desk in the family room. Elegant master suite with walk in closet. Charming open staircase overlooks the great room and leads to 2 large bedrooms. An additional sleeping room on this floor presently being used as a craft/sewing room. Many updates & extras all around. Mature trees provide shade & enhances the well manicured landscaping. The pier has sunbathing platform & enough room for all your lake toys. A heated man cave, 2 car detached garage with storage space for your tools & lake toys. The south side entry door leads to a mud/laundry room. Fast & easy commute to everything Culver has to offer! Culver lake living with a cottage flare! Lake Maxinkuckee offers an est. 85 feet of lakefront living with a 5 bedroom, 2 full bath and 4 half bath, home sitting on the waters edge. Lovely and very large living room with fireplace, and views galore of the water. A sizable and three season side porch open from the living room area, which allows lots of extra living space and includes hardwood flooring. The porch faces North so allows owners to use throughout the day. Large Kitchen with an expanded eat in space and area for laundry. Very large dining room off kitchen holds table to seat 12 or more. A sizable bedroom on main floor with an attached bathroom with surround walk in shower. Open stairs in living room leading to 4 additional bedrooms upstairs. 3 1/2 baths & one full bath accommodate this sleeping area of the home. Embrace the cottage & comfort of this home, which may inspire guests to stay awhile. Some new windows for a wonderful cross breeze throughout. Appliances for kitchen stay with home. A 1.5 car garage near the road, great storage for lake toys and golf carts. Wonderful front, back and side yards, a seawall in place, and a sandy beach shoreline awaits you. No stairs to waters edge. 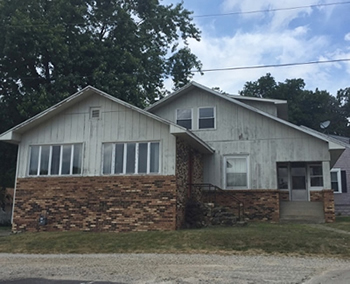 This lovely 4 bedroom, 2 full bath home, sits on the beautiful Sandy Shoreline of Lake Maxinkuckee, in Culver, In. This home offers an open living, dining and kitchen area, great room offers vaulted ceilings, and skylights, and some recent updated flooring. Streamline kitchen with loads of cabinet and counter space. Wake up in your serene master bedroom suite with attached bath, facing the lake each morning. A sun room with loads of windows is heated and used year round, with a view of the lake. A classic Nantucket flower garden feel everywhere, mostly perennials and easy to maintain throughout three seasons. Insulated garage and doors with attic storage above. A back up generator (operates part of home) runs on gas, for those nights the electric goes out. A lake pump to water the grass, flood lights near most corners of the home. A classic lakeside gazebo wired with electric and lighting, also this yard offers a paver patio est size 18x18. A wonderful entertaining home on Lake Maxinkuckee is awaiting its new owners. Plenty of parking. Extra shed, for a clutter free garage. Quiet country feel, in town close to everything, walk to shops and restaurants. Private small beach near south property line. Culver, In. 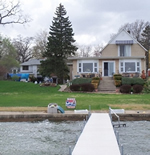 offers this lovely updated 3 bedroom (one sleeping room), 3 bath home on lovely Lake Maxinkuckee's sandy West Shore. Home also has a beautiful updated kitchen with cabinets galore, large seated island open to a spacious dining room and living room. Dining room seats 10 comfortably and the views of the lake are spectacular. Very large serene master suite on main floor. This home offers comfort and ease for entertaining. A spacious office room (14x10) one large wall is exposed desk, great for anyone in business. Wood like laminate flooring throughout the main floor. Upper floor has a small kitchenette with additional seating area, a large landing set up as a sleeping room with attached bath. An additional large guest bedroom facing the lake with patio doors and a floor to ceiling view. Lots of closets throughout with plenty of ample storage. If these walls could talk they would share the years of enjoyment this family has had throughout the years. Beach like sandy shoreline right out front your door. Deck offers an area to grill out and just sit and take in the lake views. 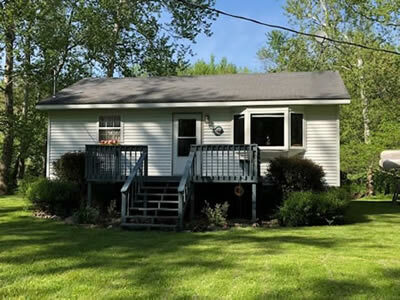 Country feeling on the lake; connect to nature in this lovely 5 bedroom, 3 bath home with +/- 100 feet of sandy lakefront. This home has it all and exhibits classic charm with a warm welcome feeling throughout. Two family rooms, both include layouts for playing pool, lounging to watch TV, or just take in the views of the beautiful lake through the floor to ceiling windows. One room is divided with a pool table area, and carpet flooring, the other side is a ceramic flooring with a bar area for cocktails. This room also has a beautiful fieldstone fireplace as a focal point. The other large family room, has wood flooring with area carpeting, a massive brick fireplace and mantel. This room also enjoys, the views of the lake from every angle. Kitchen has lots of knotty pine cabinets, wood like floors, an eat in area, also enjoy and take in the views. Off the kitchen you can access a sizable deck facing the lake for grilling out. This home has two very large bedrooms upstairs with a full bath and walk-in shower. The main floor offers three bedrooms, one has an exit door to a private deck. Loads of storage throughout this home. 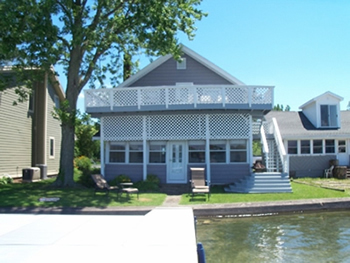 Relaxing rear and lakefront yard, shed included and pier with sun bathing platform stays. Oversized 4 car garage, horseshoe driveway. Loads of perennial flowers that grace the attractive yard. Many updates over the years. 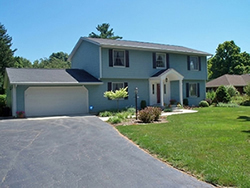 Culver's Lake Maxinkuckee offers this lovely home with 5 bedrooms and 4.5 baths. Two very large master bedrooms on the main level with attached baths. Beautiful spacious slate floor entry with a wood burning fireplace. Loads of windows for taking in a wonderful view of the lake from the great room, open dining area, and kitchen. Updated kitchen with lots of cabinets and counter space. with a breakfast counter and stools. Kitchen offers built-in dishwasher, refrigerator, stove top, and oven. Main floor very large laundry room. You will love the feel of this open and spacious first floor. Upper floor offers 3-additional bedrooms, and 2 extra baths. Tons of storage throughout this home. Most closets are lined with cedar, and have plenty of storage space. Two gas furnaces, and two central air units. Boat house connected to property, also great for Lake Toy storage with a sizable upper patio. A large carport attached to the home adds additional space for boat storage and cars. Paved driveway plenty of parking spaces. Call ahead and make your apt to view this home! 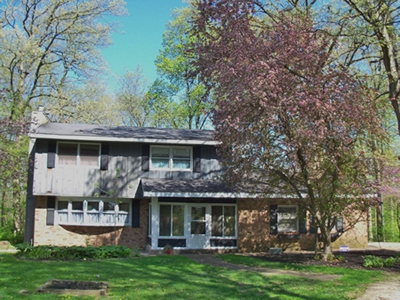 Culver Home on Lake Maxinkuckee with low taxes and a site to behold! Take in a panoramic waterfront of this beautiful lake from 894 West Shore Dr., Culver. You will enjoy updates throughout, some include, main floor bath with walk-in tiled surround shower, new flooring in bath and main floor level. The sun porch faces the lake, and is great for sunrises, with plenty of room to entertain. A delightful updated flare is present in the large living room area, with newly painted walls and new flooring. A large main floor bedroom with large closet spaces, and a lg. laundry area just off the kitchen. Open concept kitchen/dining area. Two additional bedrooms upstairs, with an extra bath. A 2-car garage with an apartment above for rental income or over flow guest. Rental income can off set tax expense also. Guest house above garage could also be a mother-in law suite. Loads of storage in garage & an extra pole building across the street. Extra parking also. A tiered landscaping with stone toward the lakefront, makes yard care a breeze, lake frontage has a beautiful new retaining wall as well as a seawall in place, with a wide patio area at the waters edge. Lot size & SF est. This wonderful home has +/-57' frontage on Lake Maxinkuckee and is a rare find within walking distance of the park & beach, and both ends of town. A contrast of style & flare gives a fresh look to the newly painted rooms and many updates. Some include new ceiling fans upstairs, new sconces in the 4 newly painted bedrooms upstairs, window trims painted and recently cleaned carpets throughout. Home offers a formal dining room/family room, large living room, updated oak kitchen, and baths. The basement is not finished, but offers a very clean area for inside storage. Owners have always had a high standard for maintenance on this property. The 2 car detached garage is great for storing lake toys too! Private pier included and a nice courtyard for picnic's and just relaxing in the sun! Culver, In. offers this lovely year around home on Lake Maxinkuckee with views galore. Open concept with kitchen, dining area and living room, full view spacious windows facing all lake front and its lovely surroundings. Living room is wired for surround sound. Main floor bedroom and bath, with additional two bedrooms upstairs. A large bathroom upstairs with walk-in shower. Two lots, single car garage across the street, good for lake toy storage as well. A nice sized deck off the living room area for those evenings to watch the calmness of the lake. Home has a partial basement, great area for plenty of storage. Home already hooked into new sewer system, at sellers expense. Paved driveway, plenty of parking space. Property has a new roof, and the exterior was just painted, as well as the large deck facing the lake. This will not last! Make this your home away from home or your primary home! Call for your private tour! Culver, In offers this wonderful Harbour Condo very near the park and beach with a spacious upfront view of Lake Maxinkuckee. Offered is a three story, main floor includes kitchen, living room with a fireplace, dining room, 1/2 bath, and laundry room. Second floor; owners’ suite has fireplace, loads of closet space and upper deck, attached bath, as well as a large guest bedroom and bath. Third floor is a loft, all air conditioned, with a private bedroom, as well as open sleeping area. Newer appliances, flooring, and updated decking. Walk out onto your private deck and take in the wonderful views. The contrast of style with traditional look, & feel right at home in this one. The beach upfront condos are rarely on the market. This charming updated lake home has a view that will take your breath away! Flow out to the lake on your private pier, with room for plenty of lake toys. This 3 bedroom home has an awesome newer eat-in kitchen that leads to patio doors, then enter onto a huge screened in porch over-looking Lake Maxinkuckee. If you love porches on the lake, this one has Porch Appeal with Wonderful Views. Lakeside patio for outdoor entertainment. Cozy, summer or year around get-a-way at Lake Maxinkuckee. Dining room has open concept to living room also with wonderful views of the lake. Main Floor with full bath, and laundry area. A small bunk room in rear of home also on main floor. Small shed offers lots of storage for lake toys. Lot size/SF est. Envision yourself living in and using this open concept lake home on the edge of Lake Maxinkuckee. The spacious living room displays two beautiful focal points, a fireplace and an open staircase. Fall in love with the cozy feeling this home presents. From the living room the views of Lake Maxinkuckee are apparent through the entry door of the charming front porch. This porch setting is often used for dining, and a game or TV room. The kitchen offers an abundance of cabinets, open to the dining room, allowing you to chat with guests. The back entry mudroom offers a place to remove shoes, and a main floor laundry room and half bath. Plenty of hidden away storage areas in this home. The upper floor offers 3 bedrooms and a full bath with tub shower. Master bedroom has a pleasant surprise, entry to a large upper deck with Trek-like composite decking all taking in beautiful Lake Maxinkuckee. Relax on summer nights with all the privacy this upper deck provides. A large pier is offered and is in place with two large sunbathing decks. The additional lot across the street to the South is included with this property. Build a separate guest quarters or garage or possibly both. Close to downtown restaurants and shops. Imagine living in this home or making it your private getaway. 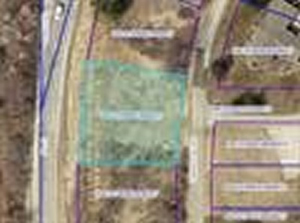 Buyer to satisfy building needs on vacant lot. 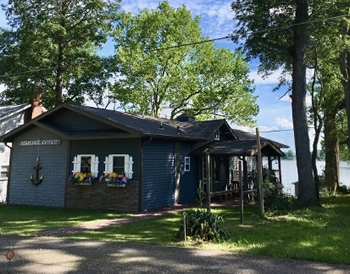 Updated rustic charming cottage on one of the channels of Venetian Village of Lake Maxinkuckee in Culver, Indiana. Enjoy the flora and fauna that help support Lake Max - including ospreys, herons and other wildlife. Cozy up to the beautiful stone fireplace while relaxing in this serene setting. Post and Beam construction enhance the open concept of the main room. Numerous windows to enjoy the outdoors from within or relax outside under the oversized covered porch near the water's edge. This year round cottage offers 3 bedrooms, one and one-half bathrooms, 2 car garage and an amazing get-away destination. 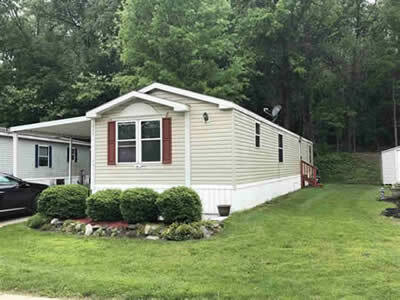 This is affordable lake living! Discover the stunning views and comfort of lake living at beautiful Bass Lake. 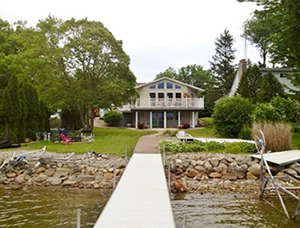 This home sits right on the water with a sandy shoreline and nice swimming & pier area. This home has 4 large bedrooms; 2 on main floor with a large shared updated bath. If you have been looking for your dream Bass Lake home this is it! Home also offers two huge bedrooms upstairs, that would be considered bunk rooms. One of these rooms has 6 beds and the other sleeps 4, plus a few pull out beds. GAME ROOM AREA as well. Tons of storage throughout the whole house. The main floor has open concept with a newer kitchen, granite counter tops, stainless steel appliances, open counter bar with stools and all the bells and whistles, like a gas cook top stove and built in oven. An inviting dining room (seats 12+) is open as well to the living room. A grand open living room has windows galore to showcase breathtaking views of Bass Lake. The master bedroom is large and has French doors that open to the great room and a big walk in closet. Guest bedroom on main floor also provides ample closet space. An additional full bath just off the back entry. Lower level is 3/4 finished with another full eat in kitchen and a roomy dining area, as well as, another bath with walk-in shower, laundry, storage and mechanical rooms. Also, a sizable front room, facing the lake with lots of windows. Water views from all the decks; one is wired for a hot tub, if you so desire. Furnace is GEOthermal, big savings. Full house fan if ever needed. Pier is roughly 240' aluminum. Amazing property. 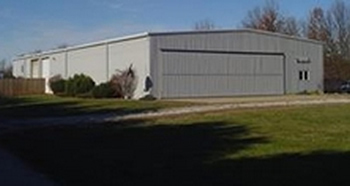 This could be used for large equipment storage, boat storage, new business location & plenty of room to expand. This property offers 30 acres, 2 buildings. 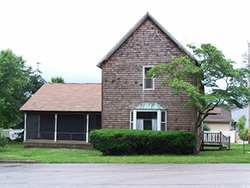 Main building is 8640 sq ft, offers 2 offices, break room, 2 bathrooms, has upper level storage above the offices. Main building can be separated by an internal door, plenty of access with several over head doors on both sides & the front of the building has 1 large door that open almost the entire length & height of the building. 2nd building is 2880 sq ft, this building doesn't currently have any heat but it could be added. 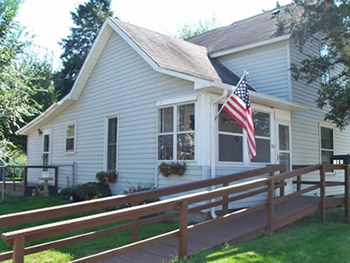 Bass Lake Sandy Shoreline: offers this lovely updated 4 bedroom, 2 bath lake home. Loads of open spaces on main floor and below ground. Kitchen is open to the great room and dining room. Updated streamline kitchen, tons of cabinets and plenty of counter space, also includes upgraded stainless steel appliances. Fireplace offered on both floors, upper and lower. Below ground have two additional bedrooms with egress windows and ample closet space in this great area of the home. A walkout lower level with two sets of patio doors, extra bath, great room all open, leading to a wonderful covered Trek like deck, so you are out of the rain but can still enjoy grilling out; all of this faces the beautiful Bass Lake. Lower level has a utility room also used for laundry room. Large addition on front of this home, with a newer, very deep, two car garage. Allowing plenty of room for lake toys, boats etc. Pier included and storage shed. Plenty of parking, great fenced yard facing lake for kids to play. All updated with cottage lake style. Home is on security system, list agent must assist all showings, no exceptions. Wonderful larger condo, with extra additional floor space in upstairs guest room. 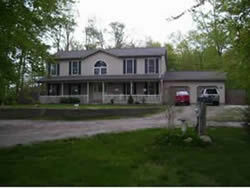 Main floor has open concept, large kitchen open to a dining room area, with nice views of Lake Maxinkuckee. Owners bedroom, offers an attached bath, also used by guest from the common hall. Most furnishings stay, a few items to be removed prior to sale. Updated ceramic flooring, owners have increased the size by extending the flooring above, making the loft room much larger. Can be used for extra sleeping, or a sitting area. Laundry closet added, corner fireplace. Close to boat slips. Sq. ft. est. Culver, In. 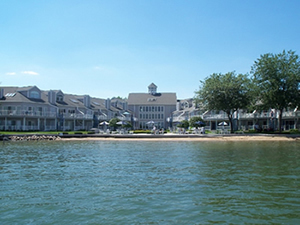 offers a wonderfully remodeled condo at the Culver Cove on Lake Maxinkuckee. Updated almost every inch, from the beautiful kitchen with granite counters, to the awesome steam shower in the downstairs bath, attached to the master bedroom. Large private guest room with attached bath, walk-in surround shower with heavy glass door. You will enjoy the Cove as a get-a-way for family with no yards to mow! Owners have really finished this one nicely, just move in! Lot size/SF est. This amazing house at Bass Lake is exactly what you are looking for! All the creature comforts of a year round home with lake views to make you forget about your actual year round home. Make a splash on your +/-63' of lake frontage all day and then watch the sunset on the stamped concrete patio with a relaxing fire in your firepit! Then retreat to your 4 bedroom, 2.5 bath home to cozy up by the fireplace. The bright white kitchen features granite counters, farm sink, island, bay window with water view, ceramic tile floor, informal dining area and stylish backsplash; appliances stay. Formal dining room. Carpeted family room with fireplace as a focal point. Formal living room. Classic open staircase leads to the 4 bedrooms; 2 of these bedrooms have a balcony. The master suite includes a walk-in closet, balcony and attached bath with double sink vanity. Laundry room features built-in lockers and new washer and dryer. Two car attached garage with paved parking too. Very deep lot with irrigation system. Take A Tour With TerryToday! Culver, In. Lake Maxinkuckee offers this well maintained two-story condominium, with many updates throughout, and in "move in" condition. Three bedrooms and 2.5 baths up, two-with skylights. Take in the wonderful waterfront, with private/regime dock and garage included. Open living areas include living and family rooms, open kitchen and eating areas, plenty of room for guest. The kitchen has a functional cooking surface and entertaining area with open concept. Roomy closets and storage space. This condo delivers comfort with its unique style. Location is excellent, in Chadwick Shores, on the West Shore with a good beach area for swimming and boating. A must to see! New Price. Don't Delay! Low HOA's dues.....quarterly. Each condo has a private patio area, great for grilling. This awesome condo has upscale everything, from modern new kitchen, with granite countertops, loads of beautiful new cabinetry, newer stainless steel appliances, lighting above the lovely tray ceiling throughout the great room. Lake Maxinkuckee views almost everywhere in this open spacious unit. Living room features patio doors leading to large deck facing the lake and a gas fireplace. Large upscale main floor bath with ceramic surround walk-in shower with glass doors, loads of storage. Cabinetry in this bath includes a free standing floor to ceiling cabinet and beautiful vanity. Attached to this bath is a large master bedroom. On the upper level, you will discover two additional bedrooms; one is a private bedroom facing the water with great views of the lake, and the other has 2 very nice bunk beds, that sleeps 4 comfortably. Upstairs you will also find a big 2nd bathroom with tub shower surround, and a lovely vanity sink with storage. Culver Cove offers many amenities: heated indoor pool, workout room, tennis & basketball courts, 2 sandy beaches, indoor meeting areas. This condo comes with most of its lovely furnishings. This superb home sits on beautiful Bass Lake with nearly .25 acre, loads of parking and an outside patio area for summer fun! This home will sleep lots of family and friends, with more then 4 bedrooms, and extra sleeping areas! Great floor plan, open concept and designed with a summer flare and retreat for everyone to enjoy! You will love the lake and cottage feel this home has to offer. The oversized three-car garage has room for your boat and all the lake toys needed! Spacious living area, open to a large four-season porch with outstanding views! Living room has a gas fireplace, open bar area great for a gathering room! Most appliances stay with this property, ask listing agent for details. Pier included, all ready for you to come, relax and enjoy! This Bass Lake home could be your retreat from the modern world! Spacious open concept living with approximately 100 feet of lake frontage. Large porches on the front & back plus a deck on the back allow for plenty of relaxing space. Lake views from most rooms, glowing oak floors throughout the main level. Open living and dining rooms with tray ceiling and lake views. Kitchen has plenty of counter space and cabinets, a pantry, plus an island with stools. An eat-in area and the second family room are open to the kitchen. With 4 bedrooms and 4.5 baths, you will find a master bedroom and guest bedroom on the main level; master features an oak mantel fireplace, walk-in closet and attached bath with a clawfoot tub, private commode & shower. The guest bedroom on the main floor has a private bath with pocket doors and att laundry room. An office with a private entrance and gas fireplace finish this level of the home. The upper level offers a 2nd laundry, 2 more bedrooms, both with oak floors, share a lake side balcony, and 2 full bathrooms. The largest of these bedrooms has a bay window with bench seat. The upper landing leads to a large room with vaulted ceilings, currently used as a billiard room with a side sitting room. Oversized attached garage with attic storage accessible from the house, and also a detached garage for more storage. Take A Tour With TerryToday! This 4-bedroom and 3.5 bath lovely home has a modern flare all of its own. Including cherry, ceramic and carpet flooring throughout. The open concept kitchen includes a snack bar with beautiful counters and is open to great room with fireplace. Fine dining open to the kitchen and living room. This home includes a family room with wet bar just off the great room also with cherry flooring. A large deck facing the lake leads from the large open-faced windows of the great room. If you like lake views this home has it, almost every room on the main floor. The beautiful leaded glass entry door leads to the kitchen area. The upper floor has an additional three bedrooms for guests with two extra full baths. Two of these bedrooms lead to an upper deck with private entrance through a doorway, for those morning coffee's or lingering nights. Central vacuum, central air, high efficiency heat, and stainless steel appliances in kitchen all included with the sale. 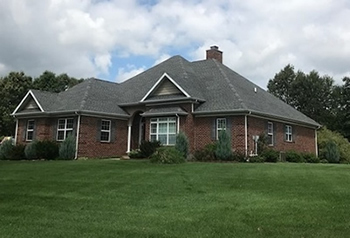 ATTENTION GOLFERS and those looking for tranquility... you have found it in this 3 bedroom, 4 bath home located on 6.9 acres of beautiful ground, on top of a hill with views of the golf course and wooded area. Ranch home with full basement is private but minutes from town. Hardwood floors in open concept kitchen and dining area, with a patio off the dining area. Add a back porch on the concrete slab/patio; siding for porch is available with the purchase. Enjoy the serenity of your country setting by the fire pit. Kitchen has a breakfast bar and includes all appliances. Living room, with views of the golf course, was recently updated with carpet. Large master bedroom with attached bath and large walk-in closet. Enjoy the fun downstairs with a family room area and gas fireplace, along with plenty of space for game tables. Majority of downstairs has been finished. Furnace/central air is 2 years old. Stairway leads from laundry room area to attached, 2+ car garage. Additional garage door to park your lawn equipment, golf cart, etc. At Culver Cove a 2-bedroom condo on the main floor all wonderfully re-done, with a beautiful upscale kitchen, loads of custom cabinetry, ceramic flooring. The large bathroom has a steam carwash-type shower, with whirlpool tub and heated ceramic flooring. Large private area deck overlooking the waters edge. Newer oak surround gas fireplace is a focal point in the spacious living room area. Kitchen also offers a large pantry for extra owners storage. Newer furnace in 2004, newer stainless steel appliances in kitchen, also including a stackable washer and dyer in a private closet hidden away. This condo is not in the rental program and can be shown at any time with notice. All furnishings are included. 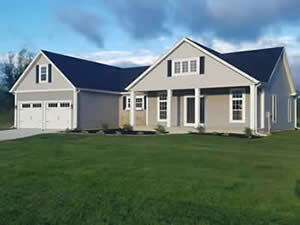 Culver, In offers a wonderful setting and beautiful home. This property looks as new as the day it was built. Includes 4 bedrooms and 2.5 baths. Main floor opens to a large living room with a lovely fireplace, floor to ceiling. Formal dining room is also open to this great room. Kitchen consists of lots of cabinets and countertops, with a pantry. Laundry room on main floor, with loads of storage. Upper level has 4 bedrooms including the large master and attached spacious bath. One bedroom is being used as an office. The lowest level of the house is very clean and dry and provides all the mechanic's of the house. 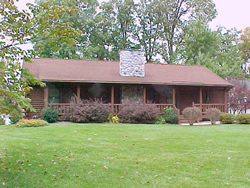 Lovely views of woods, wonderful landscaping, and large pond stocked with Bluegill and Bass. The setting has large mature trees and lovely trails leading onto the back of the land with vast open spaces. Great for camp fires. The pond is est 80x120. A 2 car attached garage leading into the home and a separate detached garage with large workshop area. Attached to this building is a shed lean to. In the Culver area it is rare to find a gem with all the work done. Newer roof, furnace and loads more updates. Large deck on the rear of this home that overlooks the pond. Don't miss out! Call for your private tour today! This unique Bass Lake front home consists of 4 bedrooms and 2 full baths. The home owners, along with friends and family, have had many years of enjoyment. The first floor has a large enclosed wrap around porch with all new windows and several ceiling fans. This relaxing porch can make your guest comfortable for a night or weekend as this area is set up with several sleeping areas for the overflow of friends. The large living room has lovely natural wood floors that have been well taken care of over the years. Also, in the living room you'll enjoy a large wood burning fireplace as a focal point. The dining room is open to the kitchen, also with wood flooring. Two sizable bedrooms on the main floor (both with natural wood flooring), and an updated bath with a ceramic surround shower, flooring in the bath is also ceramic. French doors and winding stairs are just a few great features about this home. Upstairs you will discover two very large bedrooms and a large bath with tub shower enclosure. Property features 2 lots, private driveway with no easements nearby. Plenty of room to build a garage or outbuilding. Lake living at its best! Mainstream upscale re-do. 2 bedroom 2 full baths all in a main floor condo at Culver Cove. New beautiful kitchen with Granite counter tops, Trustile brand doors, Stainless steel appliances, and faucets, pull out trays in kitchen cabinetry, and views galore of the lake. Maintenance Free Lake living. Glowing wood flooring invites you in to this cozy furnished condo. Two slider doors lead you out to the sandy beach just feet away. Finished deck ceiling, built-in surround speakers. The master bedroom has an upscale master bath attached, with car wash shower/awesome... The kids room/second bedroom has loads of storage, 4 built-in beds, and an additional guest bath as well. Amenities at Culver Cove are indoor heated pool, hot tub, fitness room, sauna, tennis courts, and the beautiful sandy beaches. Only 1 available with 2 bedrooms on main floor in front of the beach area! 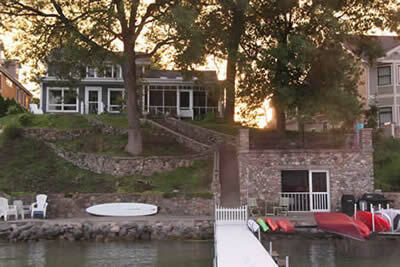 Wonderful Lake LaTonka home with +/-100' of beautiful water frontage, offers 4-bedroom & 4 baths. True oak floors that grace the sunlight in the kitchen, which includes an island & all modern the conveniences. From the kitchen, walk out to your deck for your weekend cook outs! This home offers a great room with a stone fireplace open to the kitchen/eat-in area maximizing space, lake views & lots of storage! A formal dining room just off the kitchen area, main floor guest room/ den and 4 additional bedrooms on the second floor. A Large master bedroom with a private attached bath and walk-in closet. 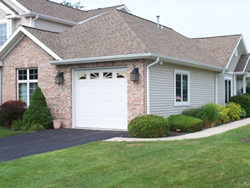 A two car attached garage and a full basement complete with additional bath. Lower level screened terrace, complete with brick floors, over looking the sandy beach of beautiful Lake LaTonka. Open front porch appeal. Lot Size & SF est. Amazing completely remodeled lake house. Updates are within the last 8 years. This home has 3 large bedrooms and 2 full baths. Large open concept in the living room and kitchen gives you great views of the lake and plenty of room for entertaining. This property could be used as a full time residence or as a vacation home. Property has drive through access with a large heated pole barn for storage. Over 50' of Lake Frontage. Unit # 238 at Culver Cove! Three bedroom & two full bath condo, has all the upgrades and great views of beautiful Lake Maxinkuckee! New kitchen with modern appliances, bath updates, skylights, storage galore, and lots of room for family and friends at the lake! Enjoy the striking color scheme and all the new/modern furnishings, which are included in the sales price! This is a must see, immediate possession! Lot size/SF/HOA dues est. This home offers 4 bedrooms and 2.5 baths with upscale everything and breath taking views of Lawrence Lake. This home has been completely redone in the last couple of years. Main floor entry way has a beautiful open staircase to a large great room with a gas fireplace, which has built in bookshelves on both sides. A sliding door from the living room opens to a deck on the east where a pathway will lead you to a pergola covered deck and around the house to the lake. Off the living room is a sitting room that could be used as a den, or a bedroom, with an attached 1/2 bath. The front of the house offers a spacious kitchen with lots of counter space and cabinetry. The kitchen is open to a large dining room, both rooms have wood like flooring and stunning water views. Kitchen also has an eat in counter, and a water purifier. Lovely French Doors will lead you to an open heated porch with a fireplace, this room is just off the dining room. This sunny porch leads right outside to the waterfront. Two sizable bedrooms on main floor with ample closet space, master suite on water side of home. A large bath with walk in ceramic shower, glass doors and ceramic flooring just off the master bedroom. Main floor laundry room. This highly well constructed home is a rare find. New plumbing, newer electrical, drywall throughout, new flooring, furnace, water heater, doors, windows, newer awesome kitchen. Upstairs you will find two more bedrooms, one being used as a sewing room, great sunny side of the house. The other bedroom is large with plenty of room for two queen size beds. Another bathroom on this floor with tub shower and ceramic flooring. Lovely outdoor landscaping with many perennials. All natural gas, loads of parking. Attached heated two car garage, no steps to access home, handicap accessible. The ultimate gathering place for extended boundaries between indoor and outdoor living! Nestled in the woods with a private drive, passing by a natural pond, a diamond built of local timber and fieldstone, a large barn and you will notice a recently updated open faced porch to greet you. At the end of this drive you will find a spectacular older and still lovely home that has been appreciated by the same family for many years. 2 additional screened in porches on each side of the home, both with views of the pond. Wonderful vaulted ceilings and sawn timbers of many kinds were used to build this home. 2 stairways lead to separate areas of this home. Awesome focal point inside is a fieldstone fireplace from floor to ceiling in each level of the house. In the finished walkout basement the fireplace is a see through from one room to the other. All fireplaces have local sawn timber for mantels. This place is a must see! Oak flooring in many open rooms of this house. Both main area of this home and guest quarters are open concept to kitchen and dining room and living rooms. So many wonderful craftsman areas in this home. Newer roof added a couple years ago. This home has room to share with lots of visitors. The barn is nice with an open loft for additional storage and serves as a garage as well. Two full kitchens and even lowest level with walkout has what I would call a fisherman's delight. Home has so many storage areas, it is an incredible property. Geothermal heat type is a real plus. Bass Lake offers this wonderful older home with 96'+/- frontage with the most beautiful sandy shoreline. The living room and dining room are open concept, and living room offers a lovely fireplace as a focal point. Three bedrooms, and one bath in this home. Several areas for guest accommodations are offered. The kitchen has parquet flooring, just off dining room. Large deck and patio on rear of house, all facing the beautiful lake. Seawall in place and your own private launch. Very large garage in rear offers two stalls and extra side space for your boat, and added on is another bedroom and private bath. The yard is lovely with a horseshoe asphalt driveway that also leads to back garage, plenty of extra parking. A second one car garage is seen from the road, and extra guest quarters within another outbuilding. The perfect home away from home! Beautiful Bass Lake views with upgrades you would expect! Lots of open spaces for family and friends to enjoy! Fireplace in the great room, sunroom, media room (could be extra sleeping room), patio, hardwood floors, attached 2 car, deep garage, 4 bedrooms & 3 baths, with private community living at it's best! Lot size/SF est. Bass Lake Waterfront Property! This wonderful home is nearly new, it has three bedrooms and an additional large loft area for extra sleeping for family or guest(s). New owners will enjoy the large open spacious concept kitchen and area living room, large scale windows with great views of the beautiful lake! A lovely staircase, which is open to great room with vaulted ceilings and a gas fireplace. Very flexible floor plan, with master bedroom on one side of the home, and two additional guest rooms on the other side. Huge two car attached garage, with loads of extra storage in the garage and home. Beautifully landscaped, large yard and front deck facing the crystal waters. Amazing home for sale. This house has an open concept with a large living room that leads to the large eat-in kitchen, formal dining room is off the living room. Three bedrooms upstairs with 2 full baths and 2 half baths. Large walkout basement has 9' ceilings, the 4th bedroom and the 3rd full bath, large entertainment area and functional kitchen. 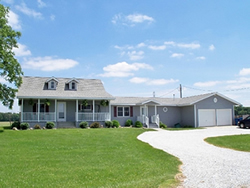 This house sits on 1.2 acres, has a full irrigation system, 3 car heated garage, and an extra outbuilding. This beautifully designed home has many desired features, with wrap around open faced porch, offering open concept living at its finest. Spacious living room open to the dining area that is also open to the kitchen. Dining room and kitchen have hardwood floors, all appliances can stay, subject to offer. Huge kitchen with loads of cabinets and an island with storage. Master suite is immense with loads of closet space and an attached bath that has a whirlpool corner tub, as well as, a walk in shower. Floor plan has master bedroom on one side and guest bedrooms on other side of the home. Main floor laundry room with ceramic floor. Upstairs you will discover the enormous bonus room, used as a private area or a large bunk room, and a sizable bath also. Lower level is nicely finished, plumbing ready for a wet bar, a roomy bathroom and mechanical room with a smart generator. On the back of this home, facing the golf course, is a delightful screened in porch, great for watching sunsets or getting a cool evening breeze. There is also a built-in fire pit to roast marshmallows at night and lounge around. Very cozy area of this property. A mound system for septic, and an oversized 2 car attached garage with a smaller area with its own door for a golf cart. This home has been beautifully updated and maintained, details are everywhere on nearly a half acre! Open concept kitchen, breakfast area and living room with a gas fireplace. Newly completed paver patio located right outside the kitchen for entertaining. Back yard also features a fire pit and lovely garden, sprinkler system keeps grass green and beautiful! Kitchen and bathrooms have amazing exotic granite that have been newly updated. The main floor also features a nice sized den with glass french doors and formal dinning room. Upstairs boasts spacious bedrooms and closets. Master bath offers a walk in glass shower, double sinks, and soaking tub.... So many upgrades in this property! 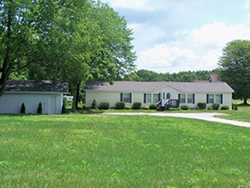 Pilgrim Meadows offers a beautiful neighborhood with common areas for sand volleyball, basketball and picnic pavilion. Culver Cove Condo # 262, offers lovely views of Lake Maxinkuckee everywhere with very nice updates including newer flooring, upscale kitchen and newer appliances, eat at the counter with room for 5 stools. Main floor large master bedroom with attached updated bathroom including newer flooring; bath also has walk in ceramic surround shower. The second floor offers, a large bedroom, extra closet space, and an attached updated bath. This bath has ceramic flooring and beautiful ceramic tub surround. This condo overlooks the lake and the more private end of south beach with a view of the Culver Academies. Open concept living with high vaulted ceilings, skylights in great room and upstairs 2nd bedroom. A lovely area off kitchen could be for eat in area. Living room has loads of seating, and a lovely floor to ceiling stone fireplace. Owner paid close attention to detail with this redo; adding an open staircase of oak and fancy rod iron spindles. Some amenities include: boat/jet ski slips (at a fee), workout room, hot tub and indoor heated pool, tennis/basketball courts, 2 private beaches. This lovely home was built in 2002, and has all the awesome things every homeowner wishes. Open concept great room atmosphere. Plenty of counter space with raised counter for extra seating. The large porch has a crushed stone flooring, easy walking and clean up. The porch faces the beautiful shore line of Bass Lake, room for extra table and chairs and loads of extra seating; looks like a favorite spot in this home. Living rooms open concept also offers vaulted ceilings and gas log fireplace and hard surface ceramic flooring. The newest kitchen feature is the glass tile backsplash. Large master bedroom, 2 closets, and bath (walk in shower) is on main floor. Laundry room is also on main level with its own storage closet. The upper floor has a large loft landing that overlooks the downstairs great room. This area is presently being used as an office and seating area. Two additional bedrooms on this floor, both with great closet storage. A second bath on upper floor. A 2 car plus garage detached in rear, small shed behind garage. Lovely raised flower beds along the front and side. A small approach deck, room for grilling. Crawl space is dry and room for more storage. Some furniture can be purchased, pier and driveway is shared with friendly neighbor. A very nice area at Bass Lake and low taxes. Bass Lake year around home with many new updates (a list can be provided upon request). This home exhibits classic charm from its Cape Cod dormers to its lovely yard and landscaping. Kitchen updates from modern cabinets and counter tops to the ceramic and oak flooring. Open concept from kitchen and dining areas with lovely lake views. The large living room offers unique style but delivers comfort with its wood burning fireplace and hard wood flooring. Two large bedrooms plus large rear bunk room offers plenty of sleeping areas for home owners and their guest. From the living room there are also lovely views of the lakes sandy shoreline. Newer front porch was added a few years ago with Trek decking, a great spot to take in all the water views and enjoy lake living. In the back of this home, is a large patio near the rear door and a detached over-sized two car garage; always a plus for storing boats and lake toys. Washer & dryer on second floor, updated bath room with double sinks plus a guest 1/2 bath on main level. Great basement with work benches for the hobbyist. Newer furnace, and hot water heater plus much more. On the waterfront of Lake LaTonka, this beautiful 4 bedroom home sits on approx. 205 feet of frontage. A lovely U shaped kitchen has plenty of counters & cabinets, informal dining, and all appliances stay. The homes has three gas fireplaces. A spacious living room with a stone fireplace and awesome lake views. A few steps away are 2 bedrooms; one being a large master suite which includes a walk in shower and a jetted tub with new ceramic flooring and a huge walk-in closet. This home offers vaulted ceilings and a full, finished lower level that includes two walkout doors to a patio and a deck off an additional bedroom. A cute kitchenette, open to the family room with a stone fireplace, has wonderful views and slider doors that open to a patio. A separate office area with a brick fireplace also, this room has a door to a side yard. This portion of the house could be private guest quarters. A 2+ car deep garage near entry of the home and an enormous 4 car detached garage for storage. A gazebo is a relaxing site on the shoreline. Bass Lake In, offers this delightful home with so many updates, I hope I do not forget some! 3 sizable bedrooms plus a large bonus bunk room, there is a total of 16 sleeping spots. 2.5 baths including the master suite. The front porch, facing the lake, has 3 sets of bunk beds to sleep 6 people, there is a door leading from master bedroom to this sunny area. Could be easily turned back into a sunny porch by removing the beds. Kitchen is large and all appliances are included, can be sold turn key with an agreeable offer. 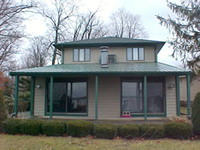 Living room is open concept to a large eat in area, also has a classic limestone fireplace & awesome view of the lake. From there you can enter into an additional large porch facing the lake with radiant water views. Beautiful hard surface flooring throughout this home. Back entrance is a mud/laundry room which also holds the well tank,newer furnace and water heater. Home has been taken care of by this loving family. Outside offers a pier space on 50' waterfront, and nice size backyard for games and grilling out, as well as, an oversized two car garage, and a nice play house. Plenty of parking on the asphalt driveway. On Bass Lake's sandy waterfront, you will find this unique and functional home. Many updates within the last couple of years. The gorgeous large kitchen opens to a living room with fireplace and views of beautiful Bass Lake. Kitchen is open concept to living room & dining room, & has loads of storage & counter space for the cook in the family! This wonderful kitchen would make most envy its’ owner. Family room offers log walls, wood floors, cathedral ceiling, and a free-standing gas fireplace. Master bedroom has two closets and is on the main level with an attached bath. Upper level offers three additional bedrooms, loads of storage throughout, a 3rd large bath, with enclosed tub/shower with jets. ‘Classic good looks’ come to mind, lots of decking outside and a patio to take in the lovely views of Bass Lake. This property requires a good look, and has a great price! This new 3 bedroom home is almost ready for it's new owners. 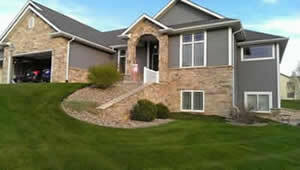 Come check out this great home, it is just a short distance from Bass Lake, and the Bass Lake Golf Course. The spacious kitchen has loads of work space, gas cook top stove with a Tuscan Tin back splash (must see to appreciate!). Beyond the kitchen, is another open eating area that leads into the LARGE open Great Room. Master bedroom & bath on main floor, with walk-in surround tile shower, private commode room, and open Jacuzzi. 2 additional main floor bedrooms share a full bath. Lower level of house 90% finished with a theater, open bar area, plenty of seating. 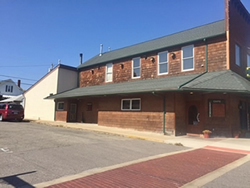 Bring your culinary talents to this move-in-ready and ultra desirable location in Culver, Indiana, formally The Corndance Cafe. Located in the heart of downtown, it is the best place to kick off your new business! Liquor License included as well as all tables, chairs, barware and kitchen equipment. Take control of your future, be your own boss! Lake LaTonka offers a wonderful log home with panoramic views from both front & rear and most rooms of this home. Beautiful water frontage and sandy shoreline of +/-81 feet! Owner providing private pier and a wonderful front and backyard loaded with perennial gardens! The main floor offers a large open concept feeling open to the great room with vaulted ceilings and a large fieldstone fireplace. Also, included on the main floor are three bedrooms, one master with attached bath at one end of this home, two additional bedrooms and a bath at the other end. This is a great floor plan for guests and privacy. The kitchen offers an open feeling and very large island/counter space galore, and a large pantry. Beautiful refinished wood floors in the great room and newer flooring in the kitchen area. Most windows have designer window treatments that stay with this home. Lower level has one large bedroom with a closet and two additional sleeping rooms for guests. Open family room with walkout to the lakefront. Exterior newly painted including the decking. +/-216' OF YELLOW RIVER FRONTAGE! This spectacular property on the Yellow River will make you feel at home at first sight! Historic home offers an eat-in kitchen with bay window overlooking the river, custom cabinets and solid golden oak woodwork. Solid oak doors, Anderson windows in the newer section of the home, glowing wood floors, impressive 12" baseboards, fireplace, beautiful built-ins, claw foot tub, 10' ceilings, graceful staircase, surprise pocket doors, fish scale shingles, slate tiles and an open-faced porch compliment the old world charm this home features. Enjoy a master bedroom downstairs with newly remodeled attached bathroom, featuring a claw foot tub/shower, dual pedestal sinks and beautiful shiplap walls. 3 more bedrooms upstairs plus an extra sleeping room, 20x20 with knee walls and closet. A screened-in walkway to the river side gazebo (also screened) is a peaceful place to relax while overlooking your 216' on the Yellow River. A four car detached garage, heated and air conditioned, offers valuable storage space, plus surprise space upstairs to finish off. 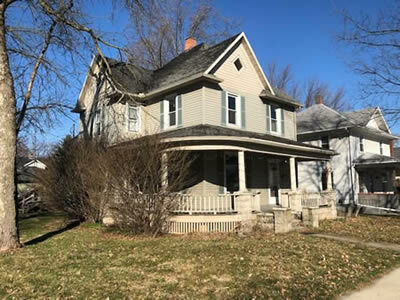 Great location near downtown Plymouth and just a walk over the nearby bridge to enter River Park Square to take in the Farmers Market and music in the park. Raised garden beds in the back are all organic. 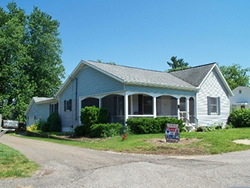 Culver, In offers a lovely 3 bedroom and 2.5 bath home, not far from schools, beach, or town. Home has open concept to dining area, large living room and kitchen. Master bedroom has an attached bath, and spacious closet. Two additional bedrooms at opposite end of the house, both with carpet and a shared bath. Large galley kitchen with an informal dining area, loads of counters and cabinets, and a spacious laundry room. 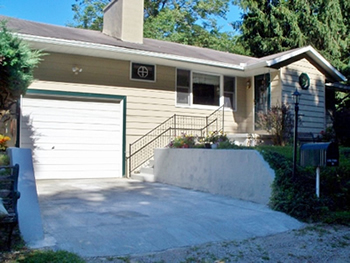 A nice heated breezeway with a 1/2 bath leads to the oversized two car attached garage. A screened in back patio, and the front of this home has a covered porch. Lower level is full size of the home, with an open finished area, loads of storage and additional areas to finish if desired. Central gas heat and central air. 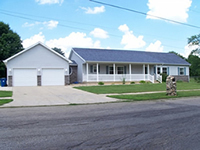 Home built in 2005, is a real find in Culver and ready for its new owner. This brand new 3 bedroom, 2 bathroom home is all about the details!! 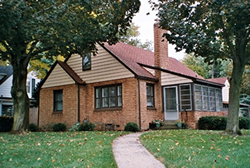 Located in the quiet subdivision of Edgewood Estates, where homes are nicely spread out and unique in character. Just wait until you get inside! The kitchen, dining room and living room are open concept, with beautiful hardwood-type floors throughout. The kitchen is fabulous with granite countertops, basket-weave tiling, soft-close drawers and pull-out drawers. Stainless steel appliances stay. Electric fireplace in living room offers two heat settings and a no heat setting for ambiance. Ceiling fans and fixtures add elegance to this house. Walk out to the back patio area from the dining room. Carpeted bedrooms are spacious. Do you like Corn? Or Soybeans? Do you have a farm and want to expand? Or perhaps you want to start a new farm? Well, look no further because this is the perfect property for you! 50 fertile acres just waiting to be planted! Farm land doesn't grow on trees, so don't miss out on this rare opportunity! This property is in a convenient location close to Culver and could be the perfect country home setting. Grow your own future! Call to discuss the possibilities! Survey on file. Buyer responsible for any building requirements. Some information per county records. A new listing that is the Pride of the Neighborhood with southern charm and close to everything. Outside landscaping is lovely with a country garden and trellis that greets you and leads to a very private large backyard; great party area for guests.The home has 4 bedrooms and 2.5 baths. Much of the main floor has lovely wood flooring in the living room, dining and entry areas. Living room has a lovely fireplace (gas and wood) for a focal point and is used often by the family. Large family room open to the kitchen with loads of built in shelving. The kitchen has been updated with hard surface counter tops, lots of counter space and cabinetry for storage. Patio just out the rear exit to backyard. Upstairs you will find 4 bedrooms, loads of closets, 2 full bathrooms. The master bedroom has a private attached bath. The comfort and character of this traditional home welcomes you in. New Trane high efficiency furnace, central air, hot water heater, many other updates as well. Laundry room on main floor. 2 car deep attached garage. Upscale Culver Cove condo on Lake Maxinkuckee offers convenient access and privacy, overlooking the coveted south beach! Upgraded with high-end furnishings and decor: Pottery Barn furniture, custom cabinets, custom bathrooms with glass shower, Kohler fixtures, tile and vessel sink. Gas fireplace to complete the ambiance. Turn key occupancy. Condo is not in the rental pool. It is available for immediate possession. This one won't last long! 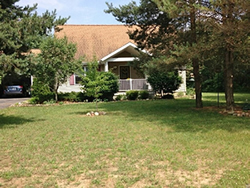 This home is on a 5 acre parcel, has 3 sizable bedrooms and 3 full baths. A master suite on the main floor with spacious closet space and a garden tub/shower. Open great room which offers a delightful way to visit with company while in the kitchen. A formal living room is in addition to the big family room, all on main floor. The 2nd main floor bathroom is just off the breezeway which is a nice entry from the garage. Awesome massive deck surrounding an above ground pool with heater and solar cover, as well as, a pergola tent, that will stay. The upper level’s large landing is presently being used as an office, another large bathroom with jetted tub and 2 more super sized bedrooms with Pergo like wood floors complete the upper floor. Overhead ceiling lights and fans throughout. 3 sheds, one used to be the cutest chicken coop ever, one is storage and the other a potting shed. 3 car garage, one bay of garage is heated and being used as a workshop. Beautiful flowering perennial landscaping everywhere. A full basement also provides tons of storage and a room for all the mechanics. Water filter system in place and 200+ amp service system. A very private setting, can see very little of this splendid home from the road, trees were planted years ago for privacy. Perfectly located between Culver, Plymouth, and Knox. Rare opportunity to own 20 acres with updated home in rural setting yet close to Culver and Argos. Two 10 acre parcels included. This listing is part of MLS # 201446576 that seller is willing to split. Move your family into the recently updated home that includes new metal roof, and stone facade with new siding, 3 bedrooms, 2 baths, large eat in kitchen, 2 car attached garage, large mud room, huge basement that can easily be converted into more rooms, great views from every window, gravel driveway with mature trees. Spend evenings under the stars utilizing the in ground fire pit, or bring your hot tub with ready plumbing. Only 1.8 miles to the Culver Marina, alarm system, generator ready, covered wood shed with large fenced dog run. Bring your livestock and home them in the two already fenced pastures with electric 6 foot fence or build your dream barn. Priced to sell! Call to setup your private tour and to discuss your options! This lovely prime one bedroom condo has an outstanding view, from the sizeable deck, of Lake Maxinkuckee. 1172 sq foot - over 300 sq ft larger than most 1 bedroom Condos at the Cove. Very large bathroom with jetted tub, sunflower showerhead, and additional storage cabinets is attached to the master bedroom. Open and spacious kitchen area, with a snack bar, and updated counter tops. The gas fireplace has a newer ceramic surround. Recently new flooring and window coverings give a very homey feeling. Kitchen also features new stainless steel appliances and a nearby desk area for your high speed internet. Two private owners’ closets. Furnishings all included. This lovely waterfront condo at the Culver Cove, has all the amenities of a waterfront view, two beaches, and tennis courts, training room, sauna & inside-heated pool. The condo offers 2-bedrooms, & 2-baths, open floor plan, vaulted ceilings, and dormer window and sky-light. Kitchen is open to living room area. Main floor master bed and bath attached. Large Garden Tub with jets in the upstairs. Carpet & ceramic grace the floors. Lot size/SF are est. This lovely home has a large open porch as an approach to its welcoming front door. Sitting on a corner facing Queen Rd. offers over 1/2 an acre of privacy in every direction yet just a scoot away to play a round of golf. The entry way has gorgeous hardwood floors, to the right is a large living room, to the left is a nice formal dining room. The kitchen has lots of cabinetry with pantry pull out drawers and tons of countertop space. This is a large state-of-the-art kitchen, with an open informal dining area, that has all the amenities you want! The family room features a floor to ceiling brick fireplace, through patio doors you will discover a seasonal porch and large deck with a private area for the hot tub. The views are so private and peaceful on the deck and porches in the rear of this home. The main floor also provides an office with nice views, you might not mind working from home. Laundry room just off the kitchen and a nearby powder room. The home has 3 huge bedrooms, master suite has a walk in closet. Upper floor includes bedrooms with loads of closet space and a storage room. Master bath is nice and guest bath for 2 other bedrooms. Lower level has potential and is mostly finished. Invisible fencing for pets already in place, as well as a sprinkler system. Room for a golf cart inside your attached garage and room for 2 cars. Make your appointment today. 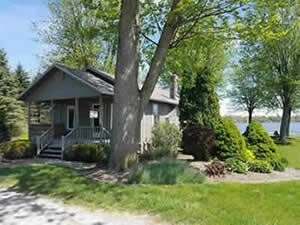 This charming Bruce Lake cottage could be your very own getaway! Relax and watch the beautiful sunrise each morning from your own, move-in-ready lake home on 115+/- lake front feet. A bonus to this property is a buildable lot next door with lake frontage, PLUS a buildable lot behind, perfect for an apartment/garage. Option for privacy, or overflow guest housing. Two sleeping rooms are located on the main floor along with living and sun room, and a 1/2 bath. Downstairs has been completely finished, offering a full bathroom, laundry/half bath, kitchen and family room. Nice large deck outside to take in the beautiful views of the lake and stunning gardens. Pier included. Buyers need to satisfy building lot requirements for both lots. 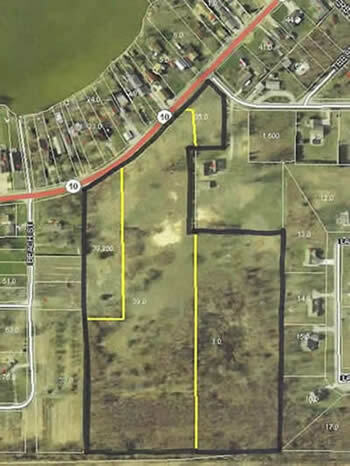 This 4.5 acre commercial property could be your next investment! Only minutes from downtown Culver. Prime piece of property with the potential for a view of Lake Maxinkuckee. Buyer to satisfy building requirements. Lot size per county records. Previous building has been removed. 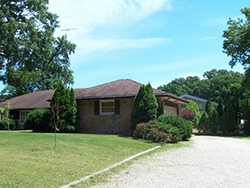 This brick ranch home has 3 bedrooms and 2 baths, on a rolling +/-5 acre lot and offers plenty of nice features. It has central air and gas forced air furnace with supplemental outdoor wood burner that is vented. A major hot spot for entertaining is a huge enclosed in-ground pool with a surrounding patio that is 40x65. Off the pool enclosure is a large wood deck, as well. A sizable porch in front of the house that faces north is also enclosed. Spacious living room with a brick wood burning fireplace. Open concept kitchen and dining area. Laundry just off the bathroom. One bedroom is just off the pool room, very convenient for a late night dip. A massive pole building that is 50x70, per county records. 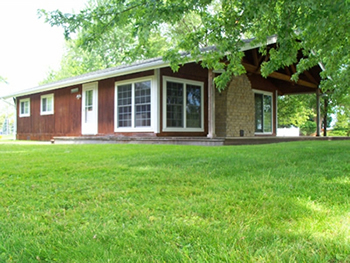 Bass Lake offers this spacious year round cottage at the lake. 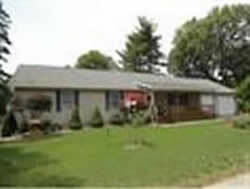 Three bedrooms and 1.5 baths, open living room with brick fireplace open concept to dining area. Lovely updated windows, facing the water for that breathe taking view we all want at the lake. Everything on the ground floor, 110' pier with bathing deck on the end. Kitchen has island, all appliances stay with home. Nice size laundry room with washer and dryer included. Concrete patio at lakeside and also in the rear yard with a hot tub that stays. Convenient storage shed on lakeside, great for storing lake toys, and has electricity. The oversized 2 car plus garage provided loads of extra storage and is a real asset to the property. Lovely porch on front of the home for relaxing on those summer evenings. Being sold turnkey if desired by buyers/excluding a few personal items. This appealing home is in a highly desirable location, near Culver Academies and just a few blocks from Lake Maxinkuckee and popular restaurants! One bedroom on the main floor with a nearby bathroom, two more bedrooms upstairs share a full bath. The spacious living room features a cozy fireplace and an open staircase. The light and airy dining room is open to the kitchen, as well as, a nice side deck for cookouts. This unique kitchen has plenty of storage space and work space and a breakfast bar too. An extra lot next door gives you room to grow or possibly build a new home. Older one car attached garage. Wrap around porch to welcome you home. Lot size/SF per county records. Location is the key and this house has it. This house is super cute and ready for some new family memories. Enjoy the nice view of the lake and only being steps away from it. Beautiful 3 bedroom home with space to entertain. Come take a look today as this one won’t last long. Just a short distance to the beach! This lovely older brick Culver home, is in a wonderful spot for going to the beach or driving a short distance to the grocery store. Also, very close to Culver Academies and doctors office. Main floor has two sizable bedrooms with a full bath in between. Lovely kitchen and open living room that opens to a porch with Lake Maxinkuckee views. Upstairs you will find two additional bedrooms with another bath in between. The lower level is very clean and one side is finished for a place for extra guest with their own private bath. Many uses for this area, could be crafting area, or exercising area or just gathering with friends. An oversized one car garage with stairs leading above for wonderful storage also includes an attached carport. Lovely front and back yard has a brick grill area. Don't let this one slip away. Call soon for your appt. This is your chance to grab up a great building location in downtown Culver. Short walk down to the lake/beach area as well as some restaurants. Extremely large lot with huge possibilities. 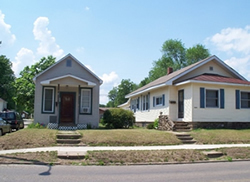 Currently features a 2 bed / 1 bath home with 2 car garage that needs some TLC. 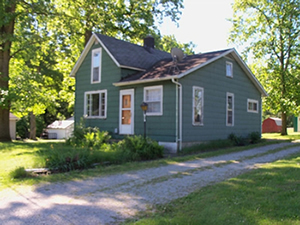 Move right in to this maintenance free country home close to Rochester. 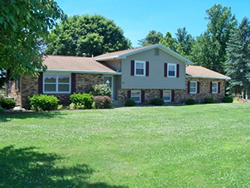 Too many updates to mention in this well kept brick home that sits on 2 acres. This home is ready for you to move right in, worry free with; new roof, new furnace, new water softener, new water heater, all new windows. The Geothermal heating and cooling system is state of the art. Enjoy summers on your back porch that overlooks a huge fenced yard complete with a three-season gazebo. Have pets? The underground electric fence will keep all of your furry friends in place as well. There is no doubt you will make new friends quickly with the new hot tub. Two outbuildings compliment your large back yard. The oversized master bedroom boasts heated tile floors, steam shower & hardwood floors. Two more bedrooms on the first floor include walk-in closets. The centerpiece of the kitchen is the mobile island, that dubs as an island or extra counter space. This home is perfect for entertaining, with a large eat-in dining area off the kitchen, & good sized living room with gas fireplace and hardwood floors. An extra large utility room positioned perfectly between the backyard and garage. No home is complete without a man cave and this is one you don’t want to overlook with 700 SF of extra living space that includes a large office as well. The location of this freshened-up 4 bedroom, 2 bathroom home is so appealing... just blocks from Culver Academies, uptown Culver restaurants, and the park and beach on beautiful Lake Maxinkuckee! New carpet downstairs, and freshly painted living room and dining room give a light and airy feel to the home. Open concept living and dining area. Ample-sized bedrooms and closets, and gas fireplaces on both floors! All water lines have been replaced. Double vanities in both bathrooms. Attached two and a half car garage, and spacious driveway for ease of guest parking. Sizable backyard with deck for entertaining. Garden shed in the backyard and a small fenced area for a pet. Clean and move-in ready for your immediate possession. Watch the beautiful sun rise and set from your large deck on the most sought after side of Bruce Lake. Enter into the open living, dining & kitchen area from the deck, and enjoy the completely remodeled home with cathedral ceilings, wood beams, upscale kitchen with soft-close drawers, granite counters and glowing wood floors. Ceramic tile in the bathrooms. Greenguard certified products used in the insulation, flooring, & wall boards. Updates since 2010 include the furnace, water heater, solid 6 panel doors, windows, plumbing, electric, siding, and roof. Gutters have been run underground to deter water from the home. Convenient storage under the deck, as well as, a lakeside shed for lake toys. The unique cupula has a light for a soft glow. Spend your days swimming along the sandy shore and finish your summer nights with a bonfire by the lake. This home has great features, the first being its location, only 1/2 block from path to the park/beach. The year round cottage style home begins with a cozy enclosed front porch with plenty of south sun exposure. Enter into the living room with glowing wood floors and plenty of windows for natural light. The living room is open to both a large dining room and a large den with wood floors. Enter the den through French doors, with a closet in the room it can also be repurposed as a bedroom. The kitchen has lots of cabinetry on both walls and plenty of hard surface counter tops. Just off the kitchen you will discover a laundry room with tons of storage and ceramic floor. A bedroom on the first floor with plantation shutters, composite wood type flooring, and a private full bath with a delightful vanity and a walk in shower. Living room also showcases an open staircase leading to the upstairs where you will find 3 more sizable bedrooms, 2 with wood floors and one with carpet. The largest bedroom has skylights and a set of French doors leading to a small balcony that has a view of Lake Maxinkuckee. The bedrooms on upper floor all have lots of closet space, one with his & hers closets. A spacious bath upstairs also with ceramic floor, tub, and large vanity. A big backyard and deck, which is a great place for grilling out since it’s just off the kitchen. The property offers a garage in which to store all your lake toys and boat. Attractive rod iron fencing in front and landscaping around this home. Vinyl siding and most windows are newer vinyl as well. All appliances stay with an acceptable offer. This one is really close to everything most buyers desire. This lovely 4 bedroom, 3 bath home is a newer home and is much bigger than it looks. Not just a drive by on this one. Main floor offers large living room with vaulted ceilings and open concept to dining room area. Dining room offers patio doors to a very large deck, wonderful for grilling out. Dining is also open to kitchen for easy conversations with company. The spacious kitchen has loads of cabinets includes all appliances with sale (refrigerator, newer gas stove, dishwasher, water softener, washer and dryer). Spacious master bedroom on main floor with walk in closet and a large attached bathroom that has a walk in shower and jet tub. Upper floor has an open loft, and a private guest bedroom. Below ground level has loads of extra space, an additional family room, lots of light from several windows. Two additional bedrooms set up as Jack and Jill bath in between. Tons of storage in this home throughout. Lovely landscaping, three car garage. An extra storage building complete with concrete floor. Main floor laundry room for convenience. A back up wired generator will stay. This property has lots to offer at this price don't delay, won't last long! Nice sizeable yard with some trails in the wooded area. One large 2.5 car attached garage & an extra large rear garage with tons of storage. This lovely home offers a large living room, dining room and kitchen with wood flooring. The kitchen and dining room are open concept. Living room and dining room is some what open as well. Kitchen offers lots of cabinetry and counter space and a bar area with stools. Off the dining room is an attached large heated sunroom. Just off the sunroom is a brick paver patio for easy grilling. Main floor laundry room also serves as a 1/2 bath. Three bedrooms, on main floor, with a large master bedroom with double closets and attached bath. The lower level of this home offers: a large open space that could be used for a family room, mechanic's room with loads of shelving. Two additional bonus rooms (I'll call sleeping rooms) one is set up as an office but has a closet. A wonderful man cave workshop in lower level and a sewing or craft room as well. Flooring on this level is carpet. This 3+bedroom, 2.5 bath home offers a garden spot, lovely trees and trails leading into a wooded portion of this property. Bath countertop and sinks are hard top surface. Roof was redone in 2006, and new water heater near that time as well. This lovely home on Lake LaTonka Trail offers 3 spacious bedrooms and 2 full baths on main level and a 3/4 bath on lower level with walk in shower. The open concept of the kitchen, dining and living room areas is a favorite floor plan of many. The main floor also offers real oak flooring in the kitchen and dining area, and ceramic flooring in all the baths and laundry room. Great room has lovely vaulted ceilings with a very warm feel. A gas fireplace is the focal point of the great room with room for a T.V. above it. Large master bedroom with walk in closet, and a very upscale attached bath. The master is a private area of the home in its own right. On the other side of the main level are two additional bedrooms with a shared bath. The lower level is a spacious area all carpeted, with 5 egress windows for safety and to meet zoning guidelines. More living quarters are available in this part of the home, room for a wet bar with plumbing in place. Loads of space and storage. Use as extra sleeping space or large family room with attached bath. A large room is separated by a wall and door that hides the houses furnace and electrical components, softener owned. Appliances in the kitchen can stay with home subject to final agreed offer. 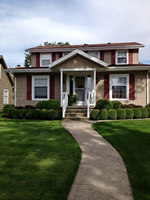 Take a look at this home; equally located between Culver and Plymouth. Corner Riggings unit really lets the light shine in, plus allows for more side yard! Recently updated with quartz kitchen counter tops, stainless steel appliances, new flooring throughout main floor, some new lighting, significant organizational system in garage, main floor laundry, deck off of back through sliding glass doors. This unit is move-in ready and low maintenance. The Riggings development has a golf cart/walking path that leads to Academy Road. Some info taken from county records. Buyer to measure for own satisfaction. Over 9 acres of wooded bliss! This country home is ready for the next generation to make it their own. Quaint kitchen has lots of counter space with a dining area in front of sliding glass doors that lead to the deck. A formal dining room, off the kitchen, with a bay window offering beautiful views of the mature landscaping. Observe the tranquil nature of your backyard from your deck, also great for grilling out. Inviting, 3-season front porch, large living room with bay window and pocket door to a den. Three ample bedrooms and a master suite. Nice family room with built-in shelves and buffet plus a wood burning fireplace with exposed brick in the walkout basement. Carport keeps a couple of vehicles dry with 2 other outbuildings, a storage shed and a dog kennel. Lots of potential in this serene setting. Explore the hiking trails through your wooded acreage with a small stream for attracting wildlife. Don't miss the blooming dogwoods in the spring. Good price for a solid home with room to expand. A $7000 flooring allowance with acceptable offer. Just Ask Jenny! Culver's East side of Lake Maxinkuckee, within a short distance of the public access off of 18B. Rd, this lovely home will welcome you with it’s open face porch off of the driveway. This porch has a slate floor and is large enough for outdoor furniture. Living room focal point is a wood burning fieldstone fireplace and the vaulted ceilings with large beams that are very striking to add appeal. Lots of light with the many windows throughout this home. The main floor also includes a full bath and 1 bedroom. The kitchen features an older style kitchen, high ceilings, with appliances included. It would not take much to update this area of the home. Carpet on the main floor has been updated in recent years. You will love the large rear porch all enclosed with updated crank out windows that take in the beautiful backyard features. Very private and serene, wonderful for entertaining on the large rear patio, off the enclosed porch. The upper level of this home has a large loft bedroom, could be easily bunked out. An additional 1/2 bath on the main floor. The property has its own private little side creek with flowing water, also an outbuilding for workshop and a one car garage. Plenty of parking in front and an extended long driveway. 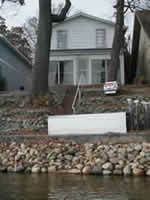 Buyers, if you were standing in the road in front of this home you can see Lake Maxinkuckee’s public access. Take your lawn chairs over watch the sunsets and enjoy swimming, very close to this property. Come in and check out this amazing home. As you walk in the front door you will notice the great field stone fireplace in the large living room with vaulted cedar ceilings. Off the living room is 2 of your bedrooms with a full bath. In the other direction is the large dining area and eat in kitchen. Just off the back of the kitchen is a very large screened in porch for enjoying those wonderful evenings. Upstairs is your Master Suite with walk-in closet, full bath, and private balcony. Outside you will find the landscaping provides for a private setting and has been setup for extra parking for when family and friends come over. Take A Tour With TerryToday! This is an amazing investment opportunity! 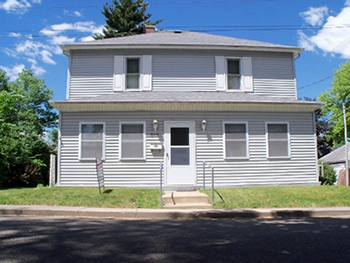 This Tri-Plex offers instant income! You can live and profit in this cozy location! Old charm with lots of potential! Very rarely any unit in this dwelling is ever vacant. The first apartment is a 3 bedroom with 2 of them upstairs, also includes 2 full baths; one attached to the main floor master and another upstairs. The next unit is a one bedroom on the main level. This unit has a large kitchen with island, loads of storage and the bathroom is attached to the bedroom with guest access also. The last is an upstairs unit with two large bedrooms, living room and full bath. All of this is close to all the downtown businesses and local schools. Residents will enjoy the large enclosed front porch, there is a back porch entry as well, for both first floor units. This property also has a 2 car detached garage with concrete driveway on the second lot. Invest in your future! Don't miss out on this once in a lifetime deal! 24 hour notice to show please! Tenants rights apply. 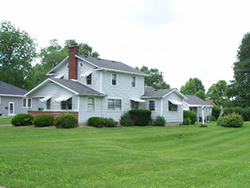 +/-3.94 acres with a lovely home and barn. The home offers 4-5 bedrooms and 3 full baths, formal dining room and a large master bedroom with an attached office/sitting room and a large private bath. A family room & living room with fireplace, vaulted ceilings and spacious floor plan throughout this home The property also has a huge pole barn with concrete flooring and an attached lean-to for tons of storage space. Laundry room and all appliances stay. Some furnishings may stay/subject to offer. Loads of parking, just a short distance from Lake Maxinkuckee. Bass Lake home offers a mix of old and new! I can vision this one beautiful I think you will too!! Heartfelt charm with a traditional wood cabinetry kitchen. This year round cottage has 2 nice sized bedrooms, one bedroom is the size of two, could be converted. Very large living room and 1.5 bath. An addition was built to the rear of the home. Oversized deep 1 car attached garage and wonderful private backyard are great pluses. 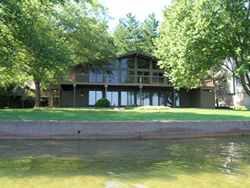 Enjoy summer on 50' of sandy beach frontage at Bass Lake. Additional baseboard heat in the Master Bedroom. Lovely front porch. Lot size/SF est. Relocate or start up your new business in Culver in the heart of downtown. 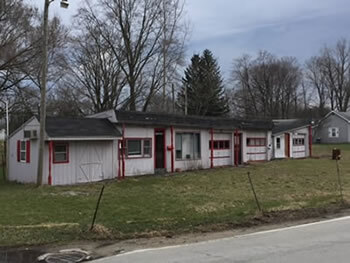 Possibilities are endless in this large, recently updated building that would make a great retail location, storage business or rental units. Building currently used as a florist shop (business is not for sale, and all inventory and fixtures are not included in sale price.) Zoned R2 - being used as small retail. 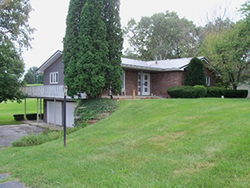 Beautiful home on almost an acre lot over looking the Tippecanoe River. This home has updated counters and backsplash in the kitchen. Lovely three seasons room on the back of the home to enjoy the views of the water and expansive back yard. Main floor master and laundry are perfectly located. Third floor loft is a great bonus for an additional bedroom space or office/craft room/studio with views of the water. New roof in 2012 and may newer windows. This immaculate, well maintained ranch home, with a full basement, is in a great location, near the heart of Culver. Beautiful, glowing hardwood floors throughout. Kitchen with built-in oven and electric stovetop. An enclosed, heated porch is a cozy spot for relaxing, also with wood floor. Formal dining room off the kitchen opens to the large living room. Two ample bedrooms share a full bath. Full unfinished, clean basement. Two car detached garage. 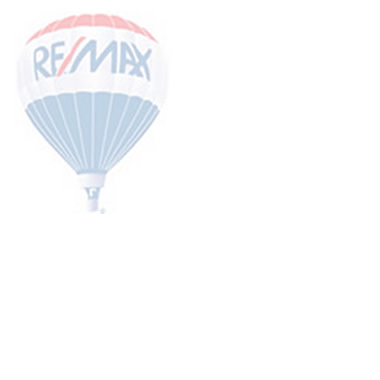 Updates throughout provide peace of mind for savvy buyers. 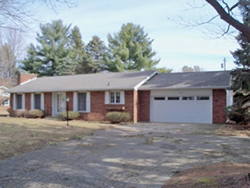 Offering a charming one level brick ranch with 3 bedrooms, 2 baths. 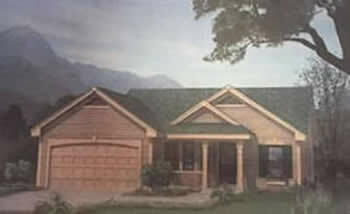 This home sits quietly nestled in and surrounded by lovely pine trees providing lots of privacy. All within walking distance to the Academy, grocery store, as well as, the beach/park. Living room offers a fireplace and built in book shelves. Kitchen offers all appliances included with sale. 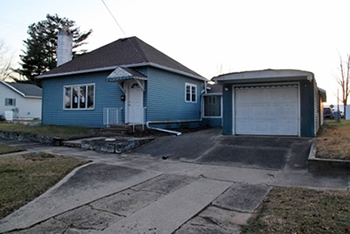 This property offers a full dry basement with poured foundation. The lower level has heat and high ceilings so it might partly be finished in the furture. Also, this property offers an oversized 2 car attached garage. One rear bedroom has an attached 3 season sunroom attached. Discover the beauty of the front and rear yard of this property. A $2,000 flooring allowance with acceptable offer. If you are in the market for a turn key home with beautifully crafted custom features, then this is your opportunity to make your move. Enjoy this 3 bedroom 2 full bath that has been completely renovated in a classic modern rustic design. The home features a beautiful luxury vinyl plank flooring throughout. This is a high quality floor and comes with a lifetime residential manufacturer warranty. Cleaning is a breeze. All bedrooms are on the main floor with the master being separated from the other two bedrooms. The ample master suite boasts a beautiful rustic sliding barn door, his and hers closets, (Her closet is a large walk in), a ceiling light/fan, a spacious master bath featuring a dual sink 60” vanity with stone top, a large walk in shower, a dual flush toilet, and a large linen closet. The second and third bedrooms are nice size and have large closets and a remote controlled overhead light and ceiling fan. The beautifully renovated kitchen includes new cabinets, counters, large sink with gooseneck faucet, a custom barn wood range hood, tile backsplash, and all new high end Whirlpool fingerprint resistant stainless steel appliances. The huge laundry also serves as a mud room entering from the large two car garage. New Whirlpool front loading washer and gas dryer are included with the home. The main floor living room and dining room feature shiplap walls and the dining room features a custom built rustic ladder light. The home has a full basement. This lovely unique style home in Culver is a must see inside; do not just drive by! This home offers 4 bedrooms, 2 baths, close to schools and convenient to beach/park and downtown. Just some of its great features are the natural oak wood flooring, upscale kitchen with granite island, great for extra seating, and loads of cabinets galore. This kitchen is the heart of the home and features ceramic tile flooring. Owners have an eye for detail, with bead board and chair rail décor and lovely window treatments just to mention a few. Additional updates include carpet, newer roof, hot water heater, furnace and windows. A spacious great room with a large brick fireplace, entertainment area for playing pool at the pool table. The living room is also large with oak wood flooring, open concept to the dining room. Dining is also open to the kitchen. Main floor bedroom with attached bath. The large main floor bath includes walk in shower, lovely décor and solid surface countertop. The upper floor has an additional 3 bedrooms, (1 used as office right now) and the other two bedrooms are large enough for more than one bed. An additional bathroom with tub shower enclosure on this floor. Leaving the rear entry of the home you'll find, just outside the kitchen and dining area, is a sizable concrete patio; great for grilling out and socializing with company and friends. Basement has a work shop area and a utility room, with another large room for lots of storage. There is an oversized attached garage & plenty of off street parking. Lots of on street parking as well in front and rear. Very close to Elementary and High Schools in Culver. Great location. Amazing home within walking distance of downtown, beach, park, and trails. This house features 4 bedroom and 2.5 baths. This house has a walk out basement which backs up to the pond. Large bedrooms and large living room make this a perfect family home. Setup your appointment today. This great 4 bedroom house sits on a large lot very close to the public park and beach area of beautiful Lake Maxinkuckee. The home offers a sizeable main floor master bedroom with an adjoining door to the full bath. A roomy back porch which is a quaint place for dining near the kitchen.The L shaped living room, with a fireplace, opens to the formal dining room. Adequate counter space and pantry, with extra closets throughout this home. Upper floor accommodates 3 additional bedrooms and a full bath. This home has a distinct brick entry way for greeting guests, and is a short distance to Lake Maxinkuckee. The basement is open and spacious for more storage. The paved driveway has an extended easement next to the two car detached garage to exit property from the rear with plenty of parking available. All of this within less than a mile to Culver Academies. 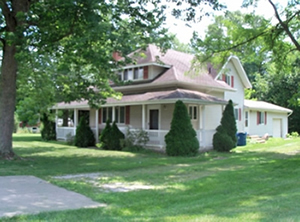 The property is located just west of the corner of College Ave and State St. This home is less than 1 block from the path to the beach in Culver. Driving by you will not notice the one car attached garage in the rear of the house. This home offers 4 bedrooms, an additional loft above the garage with built in bed. The master is on the main floor and has an attached bath. Upper floor also has a full bathroom. Laundry is in the master bathroom. Main floor living room, open and spacious with a convenient place to add the TV, out of site. There is a screened porch just off the kitchen with nice breezes. Very nice area of Culver being able to get to both ends of town very easily. Boiler heat and window units for air. 200 amp service and new roof in 2014. Most appliances are built in. Any zoning, building, or add on requirements, buyers must have approved by building inspector. Great location, don't let this pass you by. Lot 4 Lake Maxinkuckee views galore! 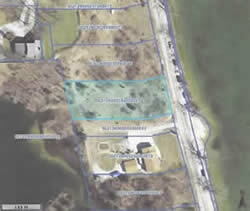 This lot sits on the West Shore across the street from Lake Maxinkuckee with outstanding views from all directions. 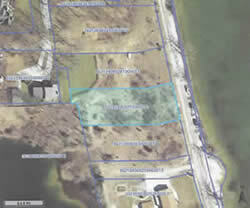 Est road frontage is 105' depth is est at 250' Build your dream home on the lake at Culver. Buyers responsibility to work with building inspector on building site set backs. Sewers are being installed around Lake Maxinkuckee at present time and target for hook up is near fall of 2011. Buyers responsible for all hookup fees. Seller has adjusted the pricing of this lot, for this reason. All records of lot sizes are +or- and can be found on the Marshall County site. Lot 3 Lake Maxinkuckee views galore! This lot sits on the West Shore across the street from Lake Maxinkuckee with outstanding views from all directions. Estimated road frontage is 105' Depth is an estimated 250'. Build your dream home on the lake at Culver. Buyers responsibility to work with building inspector on building site set backs. Sewers are being installed around Lake Maxinkuckee at present time and target for hook up is near fall of 2011. Buyers responsible for hookup fees. Seller has adjusted the pricing of this lot, for this reason. All records of lot sizes are +or- and can be found on the Marshall County site. These wonderful year-round cottages have a great yard, off street parking, one is cottage flare, other is a mix of cottage and classic style with newer kitchen bath, flooring, open loft and two bedrooms. Great views from both, of beautiful Lake Bruce. Enjoy your family get-a-way and use both homes! The smaller one has been in a rental and has rented for as much as $600/week! Newer siding on both, updated electrical, and flooring. Very low maintenance inside & out. If you have company or extended family, this is a great buy! Not often can you find two cute cottages side by side!. Pier stays! Smaller cottage - furnishings are included, the slightly larger - furniture is negotiable, but not added into the price. All appliances stay! Spec home to be constructed. This is an amazing opportunity. 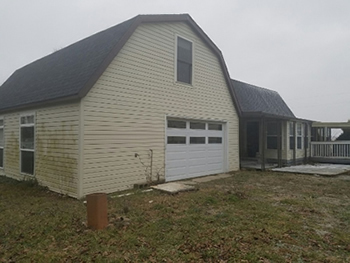 New construction, ready for your paint colors and final touches House will include 3 bed & 2 full baths, full basement will be unfinished, large living room with eat-in kitchen. Listed price plus lot of $14,900. Taxes are based on empty lot, subject to change. Basement could be finished during building at additional cost. 8 More lots available. Sunset Cottage is a beautiful home on the southeast corner of Bruce Lake, with the most amazing sunsets on the lake. The house was originally a summer cottage and has been completely renovated and redecorated for year-round enjoyment. The kitchen is handcrafted in white beadboard with solid wood and there are newer appliances. Handcrafted hardwood floor in kitchen, beautiful carpet in the living areas and tile in the sunroom/dining room. There is a sitting room, which could be its own sleeping area, one private bedroom, living room, kitchen, bathroom, sunroom/dining room with a great view of the lake. The house sleeps 6 or more. There is a shed with workbench and plenty of storage, a pier with a Brock Deck at the end with a sitting bench. The sewer is ready to hook up in a few months. All electrical was updated and there is a window air conditioner which cools the whole house. 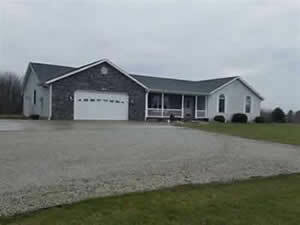 New waterfront listing on beautiful Lake Bruce, In. This year-round cottage get-a-way has wonderful hardwood oak flooring throughout the upper level. Home also includes a sizable full bath with tub/shower enclosure. One bedroom, with many additional areas for sleeping. Easily add an additional bedroom with a wall and doorway. Views are great everywhere! The lower lake level large family room, includes lots of extra sleeping room, and a brick fireplace as a focal point. Galley kitchen, with slate flooring, offers a view of the lake as well. The sandy bottom will invite you to take a swim! Enjoy many summers, with family and friends at this wonderful home away from home. Like fishing? No problem this lake offers that as well! 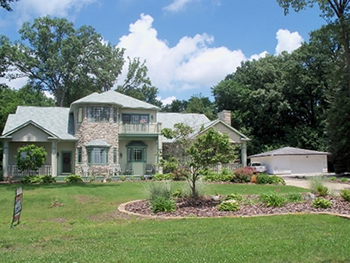 Culver Country setting close to town, 1.8 acres, lots of mature trees, and beautifully landscaped. This wonderful 4 bedroom, 2.5 bath has had many updates throughout. A lovely large porch on front and back of home and paver stone patio in rear. Main floor has a large kitchen with lots of cabinets and counter space as well as a large pantry. Walk from kitchen through French doors to rear yard with loads of privacy. Spacious living and dining room with lovely hardwood flooring and French doors. An additional large den or family room as well as a nice size laundry room and half bath on first floor. Upstairs are 4 bedrooms (carpeted) and 2 full baths. Master bedroom has a lovely updated spacious bath, walk in shower, double sink vanity, large garden tub, and good storage. Two car attached garage. Small shed in rear for all the extras. Home has wireless internet, and Dish Network. Appliances are subject to offer. Easy access to driveway with plenty of parking areas and easy turn around to drive out.. This home is a great find, waiting for its new owners. A lovely ranch townehome in Culver! A great place to call home or home away from home! The Riggings offers this 2 bedroom, 2 bath townehome, with spacious bedrooms and each with it's own bathroom. Open concept from kitchen overlooking living room and dining area. Focal point is a gas fireplace in the living room, being an end unit has a lot of extra daylight. All appliances stay. One car attached garage, great storage. 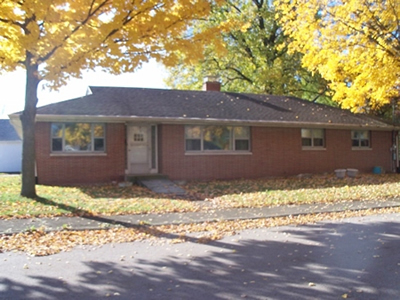 Well maintained ranch home in a great neighborhood. Triton schools are within walking distance. Beautifully landscaped and a welcoming deck. Feel at home here, call me for your private showing. This lovely home sits on Plymouth Country Club Golf Course. If you need space at an affordable price, this 4 bedroom and 3 full bath home has it. Main floor has 3 bedrooms and 1 on lower finished level. Master bedroom has double closets which most buyers want. Home features a large family room in the lower level with a beautiful brick fireplace for those cozy nights. Another nice feature is a Solarium (with Hot Tub) on rear of the home facing the beautiful Golf Course. Large spacious kitchen that is open to a sizable dining room. This home sits back off the road with a large upper deck off the kitchen. The backyard is an extension of the home. Double door entry on front enters into the large living room. Extra large 2 car attached garage. Lots of closets, great storage. Lower taxes a plus!! Call for details about Pretty Lake Acess!! Wonderful, very loved home with 3 sizable bedrooms and 2.5 baths. 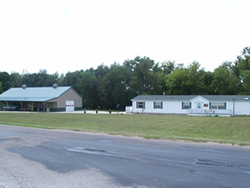 Located with easy access to US 31, and several local towns. Lower level of this home offers a family room, with wood fireplace that nearly heats the whole house, a laundry room and full bath. If you are crafty or like to sew, you will love this very large craft and sewing room! Main floor has a newly floored kitchen and dining room, open to the spacious living room. Kitchen has lots of built in pull out drawers in the cabinetry, for easy access. Loads of closet space throughout, and three bedrooms, one being used as an office. Some of the outstanding features are a big deck off the dining room, and a cement patio beautifully landscaped with lovely large pavers. Central heat and air. New storm windows upstairs, custom curtains, high eff. furnace with humidifier built in. Softener is owned, central vac, intercom service, crown molding, oversized leaf guard gutters, vented roof and garage. Just to mention a few. A two car heated garage, and auto opener. An extra building presently used as the man cave with all the features they will love. In McQueen's Subdivision: This spacious home with 3 bedrooms and 2 full baths, all handicap accessible, with wide doorways and no stairs from garage into house. Eat in kitchen with lots of cabinets and built in desk. Most rooms throughout this home are very large, master bedroom has an attached bath with tub shower & double sinks. Very large family room near kitchen. Also a large living room open to kitchen. A sizable 2 car plus attached garage, loads of storage throughout, with lots of shelving and extra closet space in garage. This property also includes tons of parking outside with an extended patio off the driveway. Two lots included with this home. Not just a drive by, much larger than it looks. This home may need some TLC but the location will motivate you to make it your own. 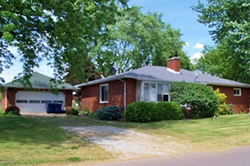 Walking distance to the lake and local restaurants. Three bedrooms and 2 full baths, practically across the street from the Lake Maxinkuckee Beach and Park! Some hardwood flooring, 1 main level bedroom with 2 spacious bedrooms on the upper level. The largest bedroom upstairs has a lake view. Main floor has open living room and formal dining room. A front porch offers lake view, as well. Over 2400 SF; full unfinished basement. Lot and bedroom sizes est. This lovely home sits on Plymouth Country Club Golf Course. If you need space at an affordable price, this 4 bedroom and 3 full bath home has it. Main floor has 3 bedrooms and 1 on lower finished level. Master bedroom has double closets which most buyers want. Home features a large family room in the lower level with a beautiful brick fireplace for those cozy nights. Another nice feature is a Solarium (with Hot Tub) on rear of the home facing the beautiful Golf Course. Large spacious kitchen that is open to a sizable dining room. This home sits back off the road with a large upper deck off the kitchen. The backyard is an extension of the home. Double door entry on front enters into the large living room. Just a few updates can make this your dream home. Extra large 2 car attached garage. Lots of closets, great storage. Lower taxes a plus!! 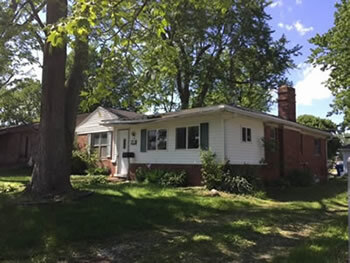 This lovely brick ranch home offers 3 sizable bedrooms and 2 full baths. Large open and spacious living room with a brick fireplace as a focal point. Living room is also open to the dining room for easy visiting with company. Kitchen offers plenty of cabinets and counter space including a bar area for stools. Kitchen has a functional cooking space and appliances stay with this home. A cozy sunny porch facing south, is a great place to cozy up with a good book. One bathroom is attached to the master bedroom and offers a walk in shower and counter on vanity is marble material. The guest bath has double sinks and an enclosed tub shower. The full basement is open and spacious with no signs of water issues. Walls in basement are mostly covered, with what looks like cedar wood, it appears someone was starting to finish it. Laundry is in the basement but a very simple solution to move upstairs. Great updates that have been done in recent years include, 7 new windows and a patio door in the dining room replaced, newer furnace & hot water heater, new garage door opener for the two car garage, newer roof on garage and house, replaced several faucets throughout & Master bath toilet; driveway freshly re-stoned. Not much to do here but pick your paint colors. Home sweet country home! 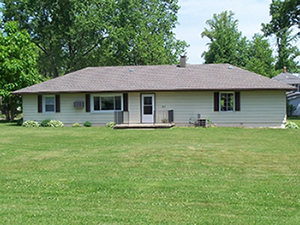 This spotless ranch home rests on a little over half an acre of peaceful paradise. An inviting porch welcomes you home to a spacious living room and bright white kitchen with cozy formal dining. Nice home office (Bedroom) along with 2 more large bedrooms. Plus, a bonus loft makes a great hideaway. A huge deck extends outdoor living and relaxation. An attached 2 car garage and ample parking in the driveway for company. There is room to run in the backyard, and a roomy garden shed. Easy commute to Culver. If you prefer privacy over noisy neighbors, this is it! Quiet country subdivision home nestled in a grove of pine trees. Spacious three bedroom, 2.5 bath in a serene setting with flowering perennial gardens. Master suite on the main floor with a massive closet! Huge open kitchen with a large pantry and informal dining room. Laundry in a closet off the kitchen. Upstairs are two additional big bedrooms and a full bath. Nice deck on the back of the house and a covered front porch. The full basement has a poured foundation, high ceilings with lots of possibilities for finishing with your personal touches. Lots of storage throughout. Attached 2 car garage, private backyard with mature trees. Culver, In. offers (23.54 +/-) a lovely track of acreage on 19th road. This land was recently split off a slightly larger parcel sold with the farm house. You can drive by to view this land (which is in corn crop at time of listing). Farmers rights apply, as in farmers always have the right to harvest their crops should property close prior to that event. Survey on file. 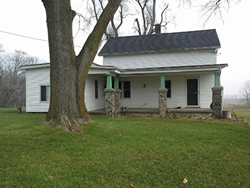 This 4 bedroom, 2 bathroom brick ranch home sits on the corner of Slate and Cass Streets in Culver. Close to the Culver schools and downtown. Large living room and kitchen with ample sized bedrooms. Full basement is ready to use with a large room, full bathroom, laundry room, and access to the backyard. An attached one car garage with a breezeway leads to the home's kitchen. Kitchen has lots of cabinets and newer appliances. Enjoy the den right off the front door entryway. Built in cabinets adorn the large living room and are at the end of the bedroom hallway. Some information taken from county records. This charming home in Culver has not been offered to the local market in many years. 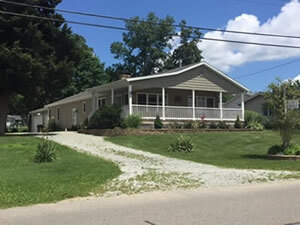 The home sits on the corner of Academy Rd. & Plymouth St. It has an exterior of mostly field stone & sits on 2 lots. Home is on one lot and 3+ car detached garage is on the other lot. This 2 bedroom on main floor, (one having no closet, so we are calling it a sleeping room), & a large upper floor loft bedroom with loads of closet space. Very large kitchen with lots of cabinets & storage space. Pull out drawers for large wall pantry. Dining room area is open concept off the kitchen with plenty of room for gatherings. One bath on main floor. Lower level of the home is partially finished, with another sleeping area & another bathroom. Lower level area that is finished is mostly carpeted & there are stairs for outside exit. This new listing offers 3 bedrooms and 2 baths. An appealing open face porch will greet you as you make your way to the front door. The living room focal point is a newer gas log fireplace. Spacious open kitchen with large eat-in area. Lots of storage throughout. The appliances are included with sale. The home offers a nearly finished basement, a large 2 car attached and heated garage; from which is a separate entrance to the lower level. 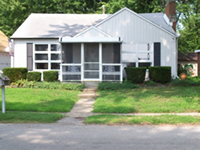 Conveniently located near downtown Culver, close to Library, CVS, PO, restaurant and shops. There is also an above ground pool in the backyard for enjoyment. This home is not a driveby, truly a must see. This 4 bedroom home is located in the heart of Culver. Only a short distance to the Lake Maxinkuckee beach, park and resturants makes this a highly desired location to invest in! Ready to be remodeled to your liking, this home has some great potential. Nice sized rooms, some with hardwood floors, classic wide trim, ornate embellishments on the stiarcase, built-ins, full basement and interesting small details could make this a fun project. The large open porch is a classic, timeless feature on this house! Porch swing ready for fun gatherings. A huge living room, with open staircase, flows from kitchen to the dining room. The kitchen has plenty of cabinet space and is a considerable size for this home, with a mudroom to the backyard. Upstairs bathroom has some updates. Laundry in the basement has room for sorting and folding. Outside access from the basement to the backyard covered patio.$2,500 flooring allowance with acceptable offer. This lovely, older, character filled home which has been loved throughout the years, has a classic style for sure. Some updates include kitchen, some flooring and newer decking and a family room, newer windows and much more. Main floor, larger bedroom is a master suite, attached full bath with walk-in ceramic shower with glass door, and three additional bedrooms on the second floor. Kitchen offers a very large informal dining area, walk through French doors overlooking a wonderful newer deck and back yard. Off the kitchen is a quaint family room for reading or watching TV. Two full baths, plenty of storage and closet space throughout. Comfort and ease for entertaining on the first floor, formal and very large dining room with built in cabinet and wood flooring. The large living room has a beautiful focal point of a mason fireplace for extra warmth on those chilly nights, plus a large bay window and French door with entrance to back yard, very cozy. The laundry room is well hidden in a large closet off the kitchen. 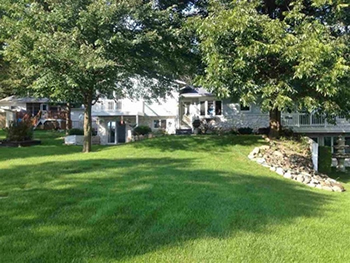 This home has a wonderful yard for the gardener in the family, shady trees galore. The rear yard is all fenced in, so yard is pet friendly. Two car deep attached garage enters through the kitchen. All of this, and only 2 minutes from CMA or Culver's downtown. A new price to the market on this GEM. You will not believe what you get for this money. 1.37 +/- ACRES and nearly 2636 sq. ft. 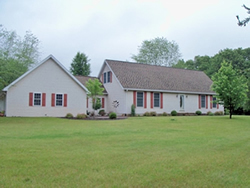 This lovely home sits on nearly an acre of ground, with 4 bedrooms and 4 baths. Entry way offers brick flooring and a large coat closet. Lovely large living room with a focal point of a wood burning fireplace. Living room also has beams built in ceiling offering a real cottage flare. Open concept with built in book shelves in some of the bedrooms, all having their own attached bath. One bath is also accessed from a common hall as well as the bedroom. Kitchen offers an eat in area and also counter for bar stools. Very large deck just off the kitchen area. Has two attached garages under home, and one detached garage. Mature trees and a lovely yard setting all close to the Culver Marina and across from the Mystic Hills Golf Course. This property would be an easy golf cart ride to golfing or boating. This property is an Estate so no disclosures are part of the sale. Make your private viewing today. 42+ acres of wooded bliss! This tranquil property provides ultimate privacy, A HUNTERS and NATURE LOVERS PARADISE. PLENTY OF ROOM TO GROW AND EXPAND. 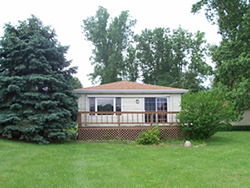 Property includes a large 4 bedroom, 2 bath home and a trailer. Property being sold "AS IS". 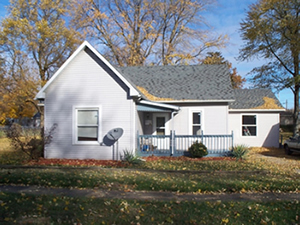 Nice home near downtown Culver with 3 bedrooms and 1 bath. Currently in the process of updating throughout, some updates are completed, others are ready for you to finish your way. Eat-in kitchen, large living room with open staircase. Enclosed porches on the front and back. Back porch is ready to use and makes a great spot for your morning coffee. The bedrooms on the upper level share a full bath. Landscaped around home and garage. Detached 1 car garage. Mature shade trees. 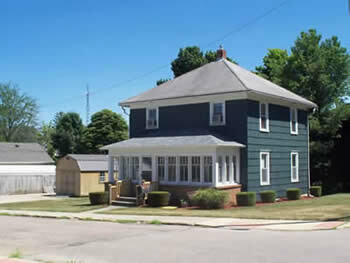 Corner lot property, just down the street from CVS and the heart of downtown Culver! Newly rehabbed 3 bedroom, 1 bathroom home with shed and parking pad in the back. Large kitchen can be eat-in, and dining area/living room open concept. Cute front porch for lazy summer days. Roomy mud room in the back. Grab this while you can! 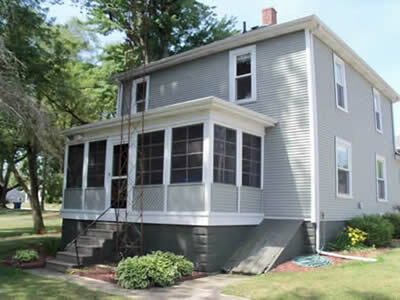 Old world charm in this 3 bedroom, 1.5 bath home near downtown Culver. Beautiful 10 inch trim with detailed embellishments. Hardwood flooring throughout along with pocket doors. Enclosed 3 season porch, as well as, open patio deck. Plenty of cabinet space in the kitchen. Detached, oversized 2 car garage in the back. 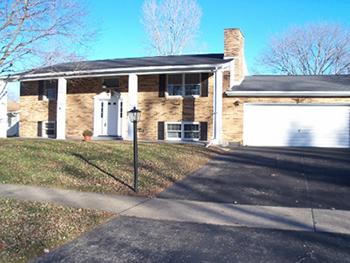 This well-kept ranch home is located very near the Culver Community Schools. Rest up for all those after school activities, within walking distance of sports fields. Master bedroom with master bath is also accessible from the laundry area. The additional 2 bedrooms on the other end of the home share a full bath. Open concept kitchen, dining, living room. Three season porch on the back of the house offers a peaceful retreat. 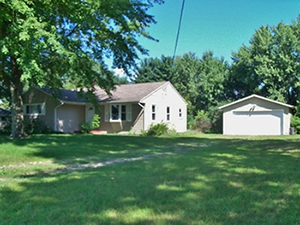 This charming ranch home sits on +/-1 acre, within a mile of Culver. This home features a new kitchen with neutral colored countertops and all the newer appliances will stay. Glowing hardwood floors adorn most of the living space of this home. Three spacious bedrooms and a nicely updated full bath with walk-in shower. Full basement (unfinished), 2 car detached garage, relaxing back deck off the kitchen. Nice private backyard with shade trees. Plenty of parking in front of the garage. 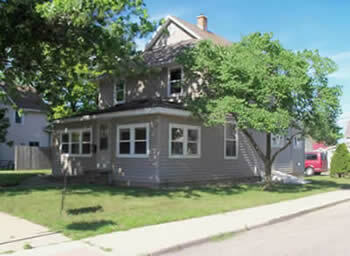 $129,900 - 425 & 427 S. MAIN ST., CULVERGreat rental opportunity use one as a second home and continue renting the other one. Or rent them both out. The small one (#427) is rented at this time at $475 a month, and tenants rights would apply. This home has one bedroom, a large full bathroom, galley kitchen and living room. 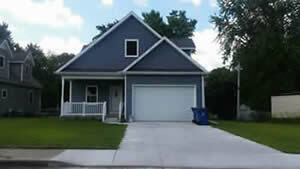 The second home (#425) has 3 bedrooms, one bath, nice size kitchen and living room, as well as a dining room area. The front of the home has an enclosed porch facing the street. In the rear entry way of this home is a large laundry room, two car attached garage. Ample parking in rear. A full basement seems high and dry, loads of storage in basement and garage. 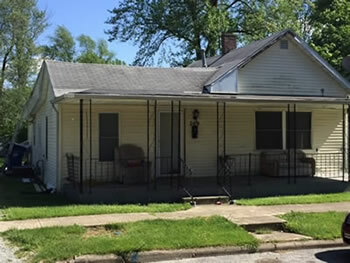 Great opportunity for potential investment property. 24 hour notice is appreciated. This home offers a lovely screened wrap around porch leading to the front door. Sizable formal living room, and 3 bedrooms and 2 full baths. The master bedroom, is away from the area of the additional bedrooms. Good design for people with a family or that may have guest visiting. The home has a large kitchen with ceramic flooring that leads into a very large dining room. From the dining area, leading down 6 steps is another large family room and an attached full bath. This could be turned into a great master bedroom suite. A large attached one car garage, with plenty of storage. All of this offers a fenced in backyard. From the rear yard you are literally a stones throw away from Lake Maxinkuckee, with a tiny view. Nice backyard for get together's as in cookouts and outdoor parties. This home is priced to sell ...call for your apt today, 24 hours notice, tenants rights apply. 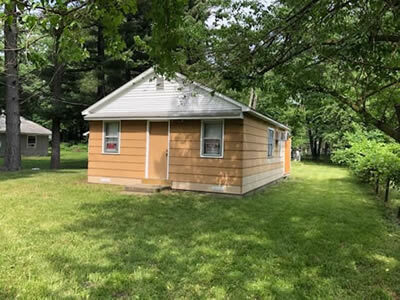 This home offers two bedrooms plus a bonus sleeping room or office space, hardwood flooring and a large double lot very close to Lake Maxinkuckee. House has vinyl siding,100 amp service and a full unfinished basement. Newer vinyl windows is a nice updated feature. Very cozy home, close to town and a stone's throw away from waterfront. A garden area is in place on the rear lot. Low taxes which everyone loves. A patio area in the rear of home next to the 1.5 car detached garage. This would make a nice second home away from home, or a great starter home. Watch the sun go down from your deck at this 3 bedroom and 1 bath year round home sitting on 2 beautiful lots on Lake LaTonka with a Culver address. Enter through the mud room off side driveway, on into the kitchen with lino flooring and an ample eat in area. Nice views of the lake from the kitchen and dining and living room areas. The one bath consist of tub shower, and nice storage. The three bedrooms all have closets and have carpet. The two car garage is detached on second lot. Association dues on lots are $502 a year. Lovely area for swimming. This home has a sizable deck facing the lake with a retractable awning. This Culver home sits on a corner lot, a few blocks from downtown. The enclosed front porch invites you to this 4 bedroom, 2 bath home. Enjoy the high ceilings, eat-in kitchen, and the very large master bedroom on the main level with a nearby full bath. Upstairs flooring is incomplete, lots of potential to finish it your way. Detached 2 car garage. The back door enters a mud room with laundry. Good price for a solid house which includes some updates in the last 10 years such as windows, wiring, drywall, siding, and insulation. Being sold "As Is" at a reasonable price. Just Ask Jenny! 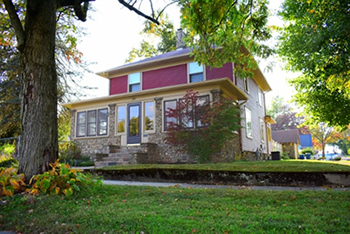 This home is near the heart of downtown Culver. Corner lot and just blocks to restaurants and shops. The enclosed porch is a relaxing entry point. So many updates like refurbished original floors, newer ceiliing, newer roof, some new windows, newer gutters, newer water heater, newer furnace with central air hook-up in place. Three bedroom, 1.5 bath. Wired for ADT security. Walkout basement. Appliances stay including the window AC units. Main level bedroom with built-in closet and dresser could be your den or office. Garden shed, for lawn equipment, with loft for extra storage. Kitchen features a deep cast iron sink. Small porch off the kitchen with exit to backyard could be utilized as a mudroom or pantry space. +/-10 Acres! Home being offered with many updates: some newer flooring, updated windows, updated bath with large surround ceramic stylish shower and many updates to kitchen and large main level sleeping room. Living room also offers wood flooring with lots of natural light. From the living room exit to an open faced covered porch. The home offers lots of kitchen space, and storage throughout, with an eat in area as well. Upstairs offers two additional bedrooms with wood flooring. Just outside the mud room before entering the kitchen, is a sizable patio for eating or grilling out with your company. A large fenced in garden spot, near the nice sized barn, hay loft and stalls. Area for animals is also fenced in (est. 1 acre) near the barn. Home offers a basement, not finished. Less than 1/8 mile from 110. N. on Peach Rd. Good location for a small mini farm. Don't let this one slip away! Boa Shores area at Bass Lake offers access to a private sandy beach for a low fee. The home is a short stroll away from cooling off! Immaculate newer home, large open great room leads to open dining and kitchen. Kitchen has loads of cabinetry and counters and an island. The great room has vaulted ceilings which is a wonderful focal point. A big master suite with walk in closet. Two additional bedrooms with a shared bath. All appliances stay with home including washer and dryer with an acceptable offer. A very large and deep two car attached garage with auto-openers. The garage is finished and insulated. Also, property offers an additional outbuilding for convenient boat storage and extra lake toys. This extra building has electricity and an overhead door. A wonderful custom multi level deck out the patio doors from the dining room offers a great place to grill out or just enjoy the views. Built in 2001. 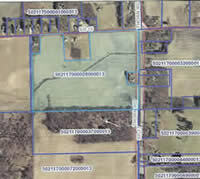 21.53 Acres of beautiful farm land or build your dream home. 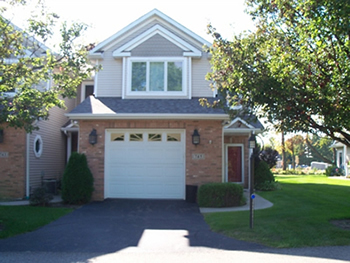 Just a short distance from Lake Maxinkuckee and downtown Culver. Only about 1 mile from West Shore Launch of Lake Maxinkuckee. This property has a wonderful scenic woods and lots of wildlife near by. Part of this property is being farmed right now, and farmer would have rights to harvest the crop. A great opportunity. Endless possibilities for this vacant land! Across from Bass Lake sits 18+ acres with a clearing and some mature trees. Build your dream home or guest cottage, storage garage or more. This 4 parcel property is a rare find in this area, don't miss this opportunity! Lot size per county records; buyer to satisfy building needs prior to closing. No survey on file. Call for your private tour and discuss the possibilities. Location! Location! Location! Just a few blocks from the Culver Academy and Lake Maxinkuckee. This diamond in the rough is waiting for your final touches. Interior is being updated with some new flooring and fresh paint. Master bedroom with shared bathroom on the main level. One bedroom upstairs with another sleeping room. Laundry is in the basement. Spacious two car detached garage with a garden shed for more storage. Don't miss this rare opportunity for a steal in Culver! 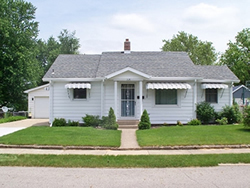 This updated ranch home sits near downtown Culver. Two bedrooms and 1 full bath, with a spacious living room, all freshly painted. New kitchen with new appliances and ceramic floor. New roof with complete tear off, updated carpet, and bathroom. Newly updated electrical service box. Two car attached garage and laundry room area. This is a gem if you need a one level home close to everything. 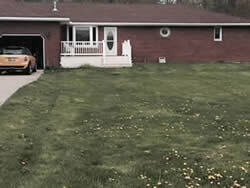 This country oasis is a great starter home or rental investment. 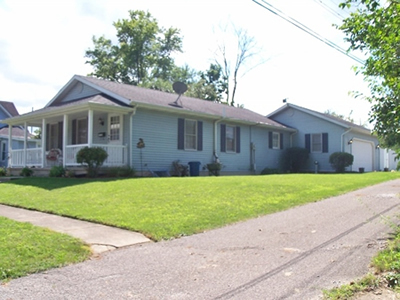 3 bedrooms, 2 full baths, and a huge yard with mature trees surrounding. Attached 2 car garage, very well insulated. Hard surface flooring throughout, updated kitchen, 200 amp service, some new windows. Furnace is high efficiency 3 years old and roof is 4 years old. Enjoy more space downstairs with a family room, sleeping room and full bathroom. Just 6 miles from Culver and Lake Maxinkuckee. Easy access to SR 17 from this 3 bedroom, 2 bath one-level home which has had some updates. Full bathroom with tub/shower has been updated to include tile floor and hard surface sink counter. Second bathroom has marble counter and shower. Ceilings are almost 10 foot high, visually adding more space. A large room off of the kitchen could be a mother in-law suite or master bedroom. Beautiful wide trim from this era house, complete with rosettes. 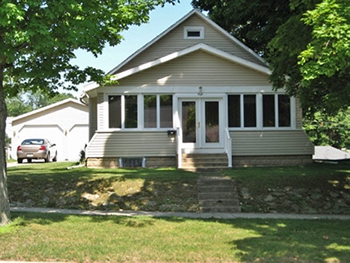 Spacious two-car detached garage, added in 2002. Bedroom measurements are estimated. This home is priced to sell. Don't miss your chance! 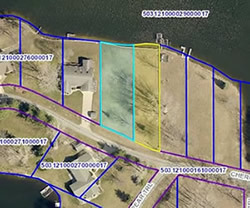 Rare opportunity to build your dream home on Lake Manitou channel. 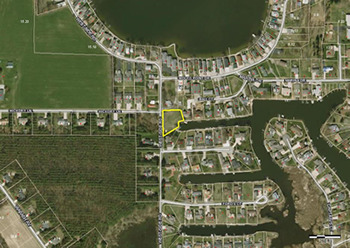 This double lot provides you with the space to build and grow, with access to the lake. Easy access to Rochester's shops and restaurants. Drive by and imagine your new home looking right down the channel. Buyer to satisfy building needs prior to closing. Location, location, location! Two beautiful side by side lots on Lake LaTonka Lakefront. Level to the lake. 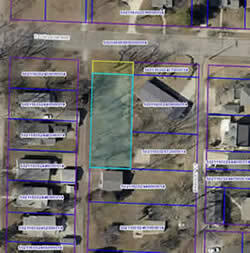 These lots require the buyer to satisfy the building and septic permits. Lots at Lake LaTonka may require perk test, and a more expansive septic. Sign on property. Nice sandy shoreline on this beautiful Private clear lake. This cute home sits on a 1.5 lot parcel on the corner of Academy Rd and Plymouth St. Three bedrooms and one bath with tub shower combo. Bedrooms do not have closets, but wardrobes can work. The home has been a nice rental for many years off and on, but has stayed in this family for a long time. Much of the flooring is the old oak hardwood floors. Make a cute get-a-way for a second home as well as a good starter home. Full clean basement and an attached one car garage. All freshly painted and ready to move into. This three bedroom home is very close to downtown, near the post office, the drug store, library, restaurants, etc. This home would love its new owner to give it, a little color and flare. The property has been owned by same family for many years and has been loved and cared for, now waiting for nice new owners. Very large living room, ample for a main floor bedroom. 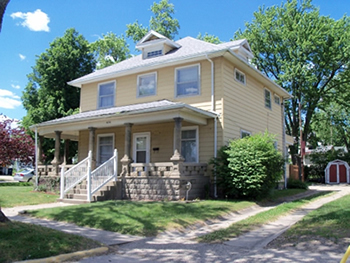 Three bedrooms on upper level, and a full bath, an additional 1/2 bath on main level. Spacious open floor plan on first floor, sizable galley kitchen with eat in area and formal dining and living rooms. Some wood flooring and carpeting. A very deep attached garage, enters the kitchen of this home. Yard provides a shed for the extras we all need. Home also has a full basement with large rooms, and it has been loved throughout the years. Make this home yours. Off street parking. This three bedroom, 2 full bath home offers a spacious kitchen with an island with counter seating, ceramic floors, new appliances, and a pantry for the extras. Open large eat in area off kitchen, or family room/den. A formal dining area that is more open to the living room all with new carpet. Large master bedroom with double entry doors, 2 walk in closets, and a very nicely updated bath. Master bath has two vanities with their own lovely mirrors, walk in shower, and a separate garden tub. Almost everything has been updated. A laundry room just off the kitchen, small deck on front of this home. 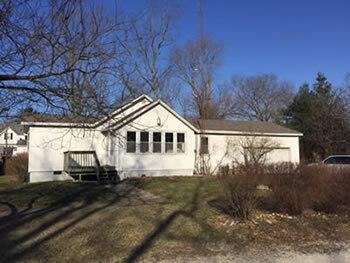 A large 2-car detached garage. New gravel driveway. Some newer landscaping, not a drive by, all on nearly .68 of an acre. Great price so make your appointment today. 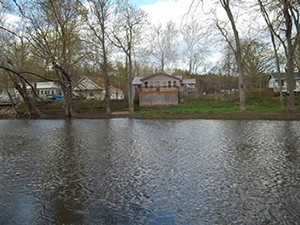 This Tippecanoe River property provides outdoor entertainment areas as well as a comfortable home to observe the winding river and wildlife. Enjoy the water views from the deck or the fenced yard. The spacious home is open concept and showcases a cabin-feel inside with all the creature comforts we all desire. Wood floors glow from room to room with cedar walls and open beam ceilings also. Kitchen island offers extra counter space and extra seating. Sunny enclosed porch lets you enjoy the water views even on rainy days. Two bedrooms provide ample space and share a huge full bathroom. The home is hooked up to a woodburner (outside) for additional heat besides the gas furnace. The detached 3+ bay garage will hold all your cars, toys & then some! 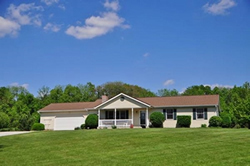 Just over 1/2 acre of peaceful country living awaits. Renters rights apply. 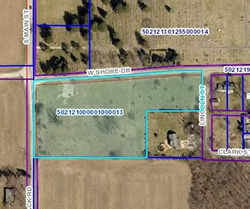 This incredible building lot in Culver could be your dream come true! 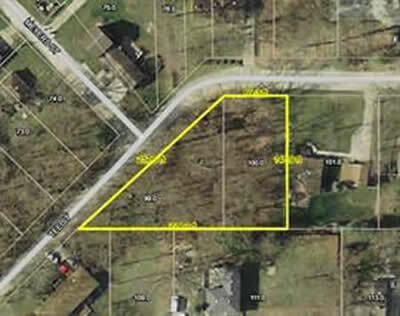 Build your new home in a very desirable neighborhood, located close to the Lake Maxinkuckee beach and park. Mature trees await to shade your future summer fun, so start planning immediately to enjoy a lifetime of memories in Culver. Also, an easy commute to amazing cuisine and upscale shops. 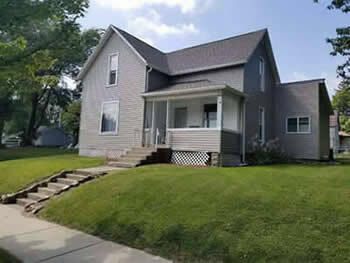 Culver Academy is also nearby which makes this lot a great investment. The Culver park provide boat slips to residents; buyer to check availability. 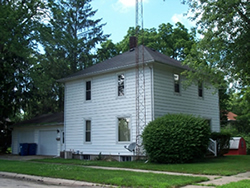 Local utilities available, buyer to satisfy building needs with planning & zoning commission. Hurry, this prime piece of property won't last long at this bargain price! Great home on the edge of town. House is located on a dead end road so little to no traffic. This house features 3 bedrooms and one full bath. Back yard is fenced for pets. New roof in 2016. Great location for someone to raise a family, plenty of parking, and quiet street. What a great home! So many updates on the house to list: New windows in 2015 with transferable warranty, update electric in 2013, bath remodel in 2014, boiler has almost all new parts and a new roof this year. 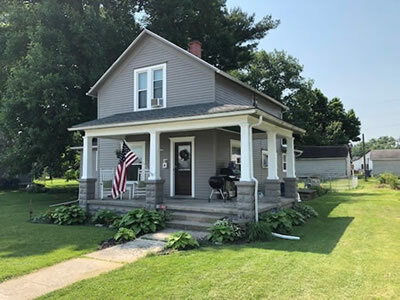 This home has been well cared for and is ready for new owners, it features 3 bedrooms and 1 bath with nice hardwood floors, fenced-in backyard and a front porch to relax on. Don't miss out on a great opportunity. 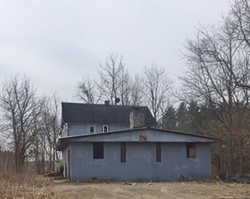 This house has great potential with a little elbow grease. A lot of original features in this home, including wood floors and natural woodwork, just need brought back to life. Excellent location to schools and local shops. 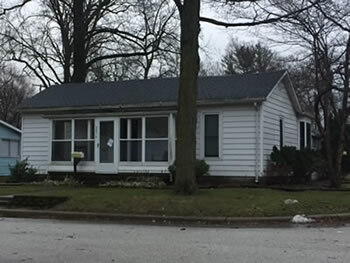 This handyman special sits on a corner lot near downtown Culver. 2-3 bedroom and 1 full bathroom with walk-in shower. High ceilings in most living areas. New windows on the main floor. Dry basement with newer furnace. Easy Water softener system. Fenced-in backyard with newer garden shed off of the patio. A rare find in this price range! Bedroom sizes are estimated. Great corner lot in desirable Culver location. 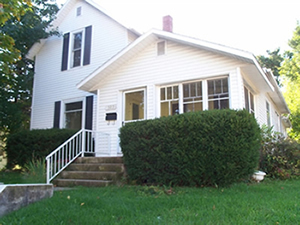 Walking distance to everything in town, only a block from Main Street! Hardwoods throughout, large eat in kitchen plus formal dining room. Main level full bathroom tub/shower combo. Upstairs layout lends itself to multiple options. Enjoy updated outdoor patio with fencing and shrubbery for plenty of privacy. Priced to sell! 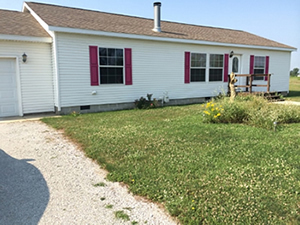 This affordable ranch home in the country has 2 bedrooms and one full bath with an attached garage. Garage has storage shed area in back measuring about 8x10. Additional shed behind house is about 12x9. New floors last year through kitchen, living room and hallway. Newer windows. Well pump just replaced last year. Roof replaced in 2018. 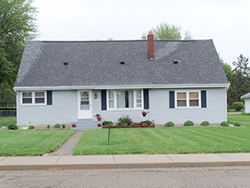 Updated home with low utility costs year round! Great opportunity. This house has great potential, remodel has been started with the kitchen and here is your chance to put the finishing touches on it. Great updates with a newer roof, new water heater, updated windows, 97% furnace is only 2 years old, appliances stay. Nipsco is on a budget, $138/Month. 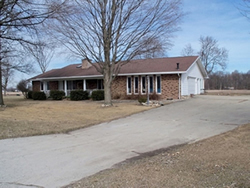 Very well maintained home in country setting close to Culver. 3 bedroom/2 bath home shows and feels like new. Sliding glass doors off the dining room invite you to a quiet backyard deck perfect for outdoor entertaining. A wood burning fireplace is the focal point of the living room and like-new kitchen has plenty of storage and countertop space. Large 2 car garage makes space for extra storage. 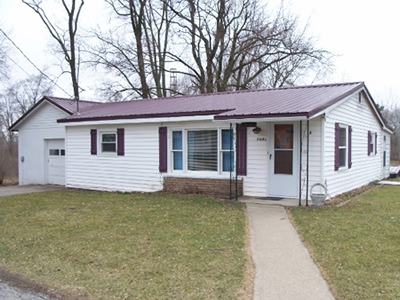 Great opportunity to purchase this ranch home in Argos. This home features 3 bedrooms and one full bath. The kitchen has good sorage and is right next to the large dining room. Good sized living room for entertaining. This will make a great home for your first home or your next step. 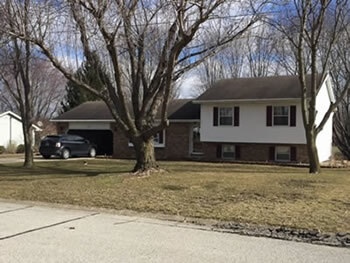 Nestled away in Tippecanoe Shores, near the Tippecanoe River, is a 2 plus bedroom home on a slight hill with a lovely garden area. This home has a cozy fireplace in the living room and eat-in kitchen; one bath on main floor near both bedrooms. Attached deep one car garage. Lower level offers an additional family room with sleeping area, small free-standing fireplace, work shop and a laundry room. 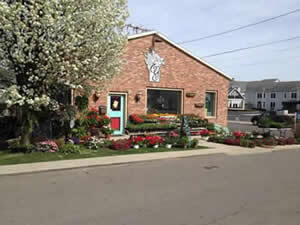 Rose bushes and perennials galore. An extra shed is offered and a screened patio. Owners started to transform the lower level into living quarters with a 3/4 bath; can be easily completed with plumbing in place for a kitchen. Charming 3 bedroom house priced to sell quickly. Some hardwoods, eat in kitchen, spacious living room with fireplace. Come take a look, won't last long. 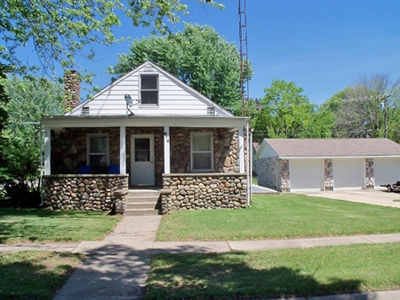 This 3 bedroom, 2 bathroom house is conveniently located close to Hwy 31 near Rochester. 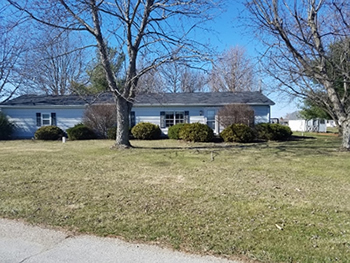 Situated on a roomy corner lot in a quiet county neighborhood, this property includes 2 outbuildings and an oversized 2 car attached garage. Seller is offering a $1000 flooring allowance with an acceptable offer. Bedroom sizes are estimated. Lot size and square footage per county records. Amazing opportunity to purchase your own home. This home has plenty of space with 3 bedrooms and 1 full bath. Located on SR 23 it has easy access to US 30 and only 10 minutes from Plymouth. 2 car attached garage, eat in kitchen, and main floor master. Nice back yard with utility shed. Well maintained home ready for new owners. This home features 2 bedrooms and one bath. Large living room with open concept to the eat-in kitchen. Located in a retirement community with well taken care of properties. This home comes with appliances included. HOA covers mowing, trash and snow removal. This cabin is ready for new owners. Short distance to lake access. Currently setup as one large bunk room. There are no actual bedrooms, just one big room for you to utilize your own way. This cabin could be an overflow spot for your family get together or a place to crash after a great day on the lake. 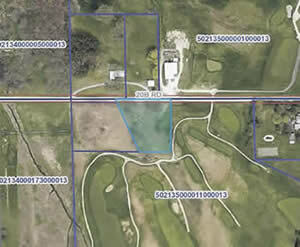 Culver, In offers a beautifully located 1 Acre lot next to the Mystic Hills Golf Course. This lot is a perfect spot for your lovely new home. This property has a small hill and run off of 20B Rd. A few mature trees are already in place. The lot is not part of Mystic Hills lots, but offers the same option of being right at the golf course. The Maxinkuckee Wetlands and entry to Lake Maxinkuckee is right around the corner, about 1/8 of a mile. Build your beautiful dream home near entrance to Mystic Hills, and close to water for fishing. New Listing in Culver, a buildable 1/2 acre lot survey in place. Near both areas of downtown. Want to build your dream home. New street just paved out front. Great area to place your dream home. Here is your opportunity to purchase your own Commercial property and start your own business. Several overhead doors give you easy access to different areas of the building. Office space in the center of the building. Half bath near office area. Great wooded lots near Bass Lake! Just under a half acre, could be your future Bass Lake getaway. Buyer to satisfy building needs. 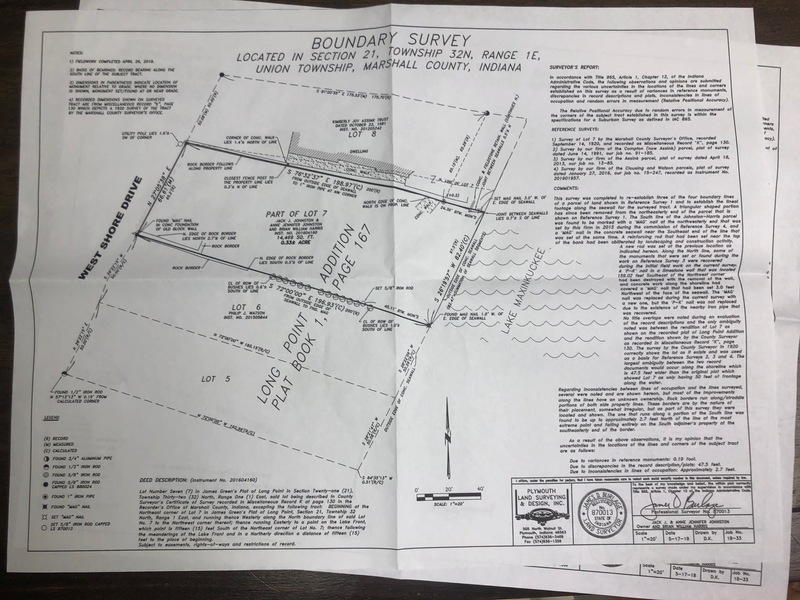 This new subdivision has a beautiful setting with building sites, lot #3, #7, #8 on West side of Terrace Court range from .68 of an acre to .74 of an acre. These lots are perk tested and ready to build your dream home. Electric (underground) provided to entrance of each lot, by the owner/sub developer. 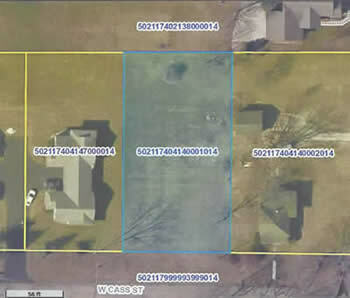 Subdivide restrictions do apply...Additional info at the listing office. Great lot at Lake Latonka. 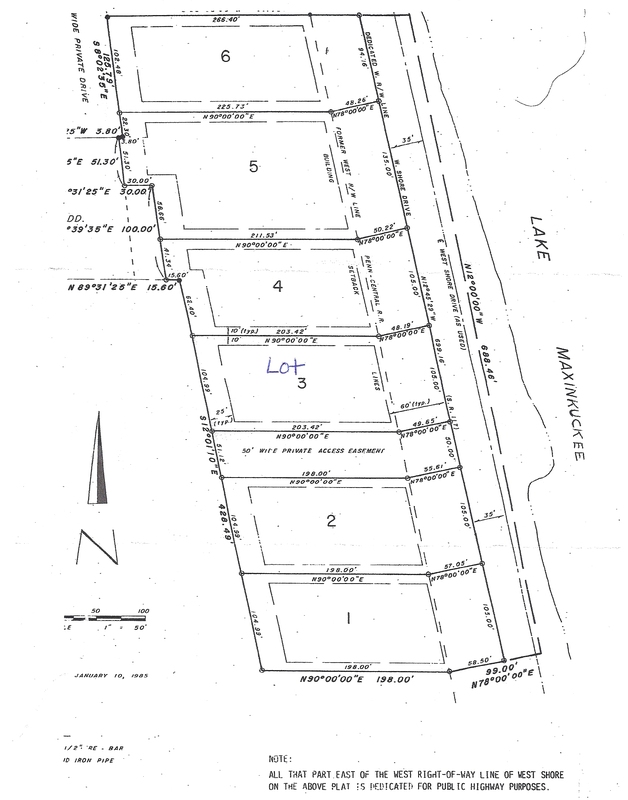 Large 110x115 lot on East Side of Lake Latonka, a private lake between Culver and Plymouth. soil tests, septic and building permits are buyers responsibility.